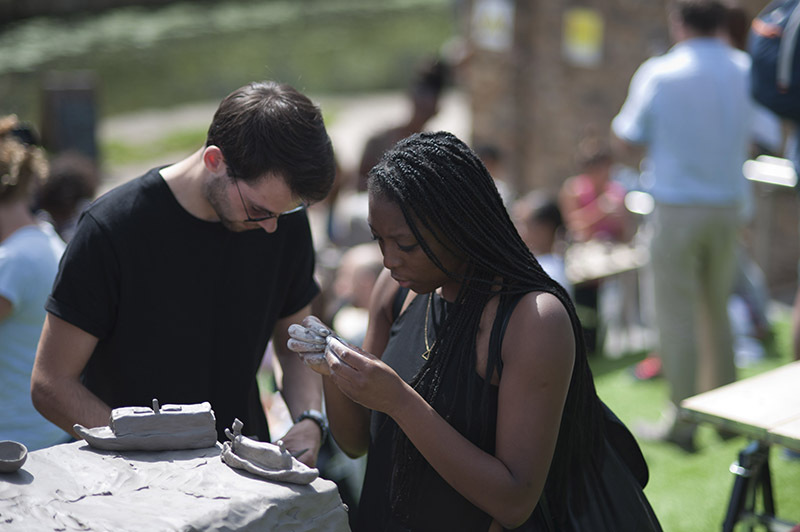 We believe in inviting the public to engage in activities which are enjoyable, absorbing and meaningful and from which they can learn. 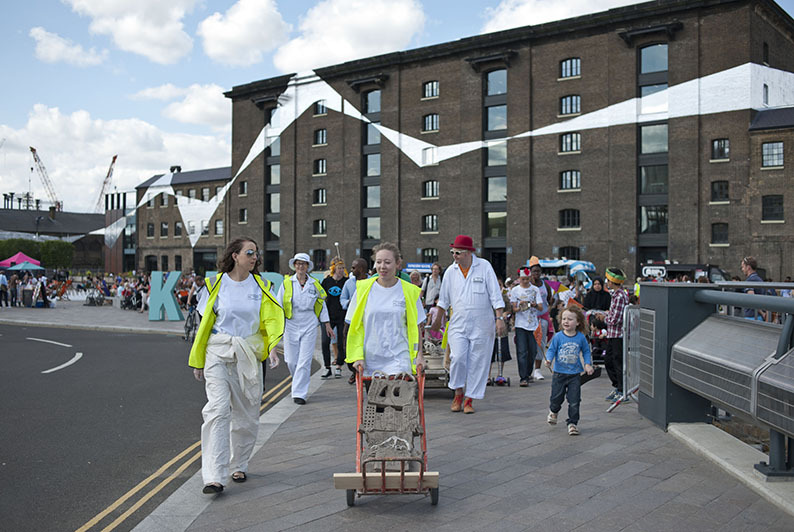 We devise activities with strong visual impact, an element of performance and collective making, contributing to shared cultural memory. 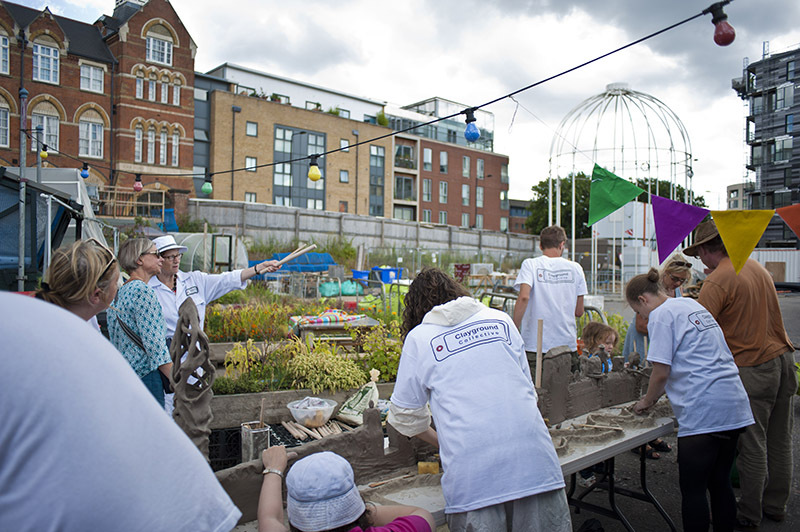 If you are involved in developing Public Programmes and have a project you would like to discuss, please get in touch. 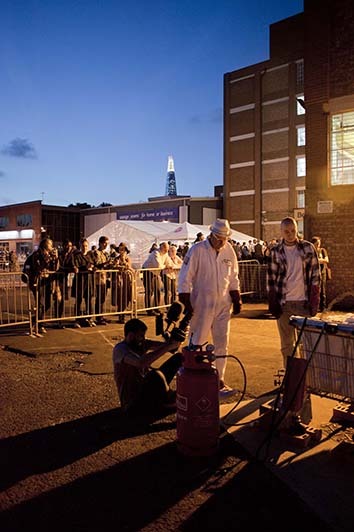 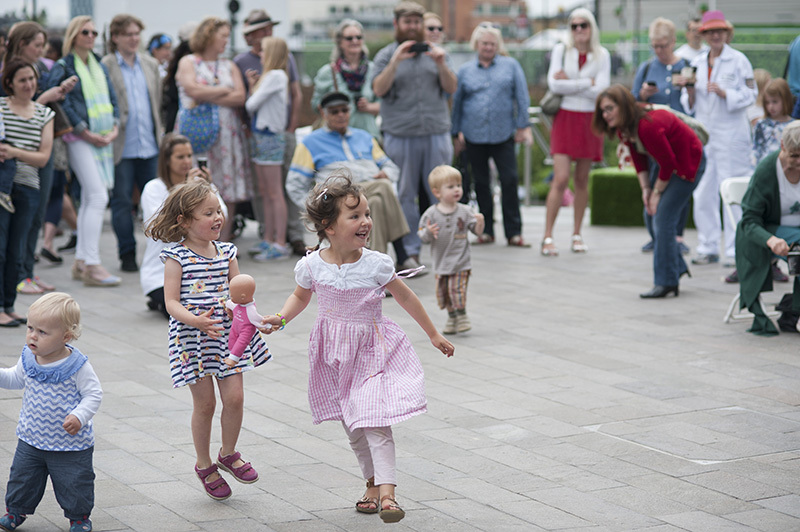 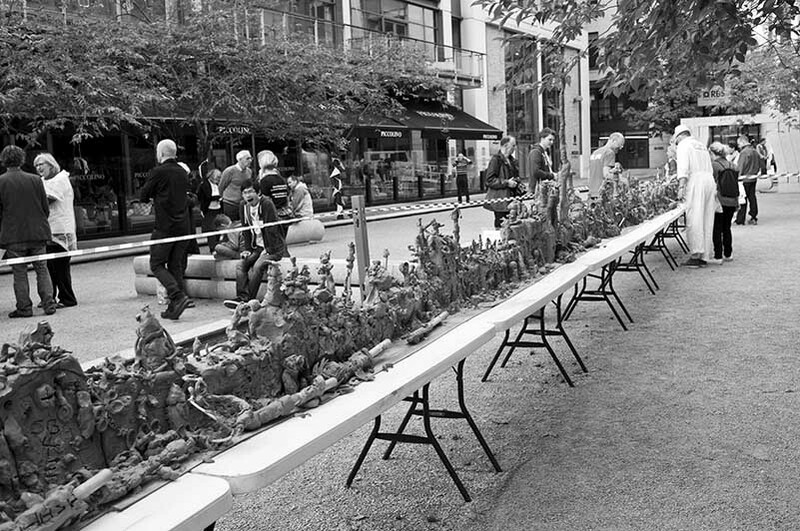 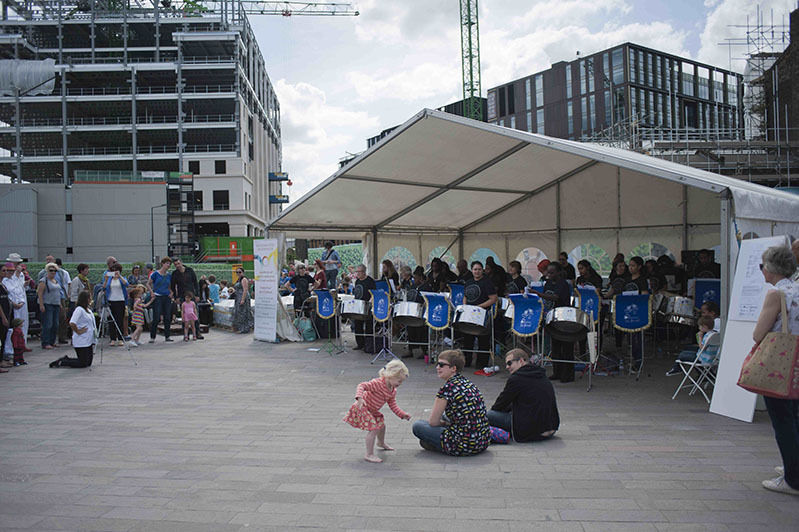 We have devised large-scale making events in civic spaces in London, Birmingham and Stoke-on-Trent. 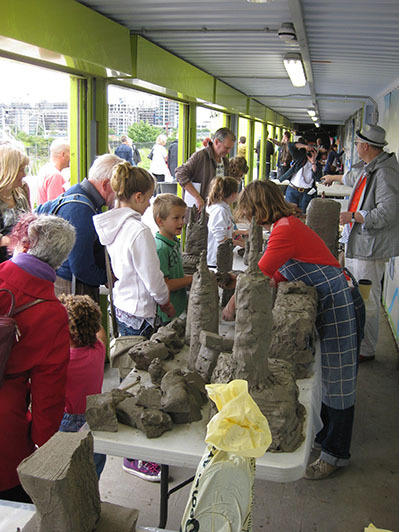 London 2011: at the View Tube, overlooking the Olympic Park in East London, for a week long school and family Festival with A New Direction. 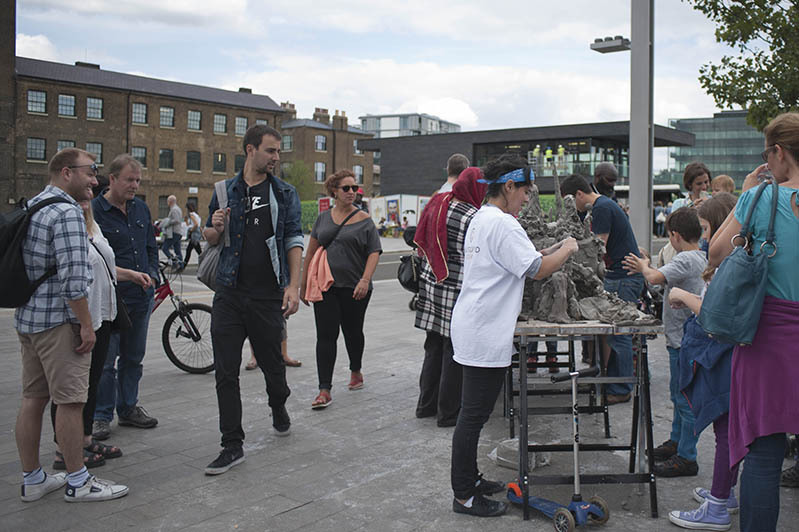 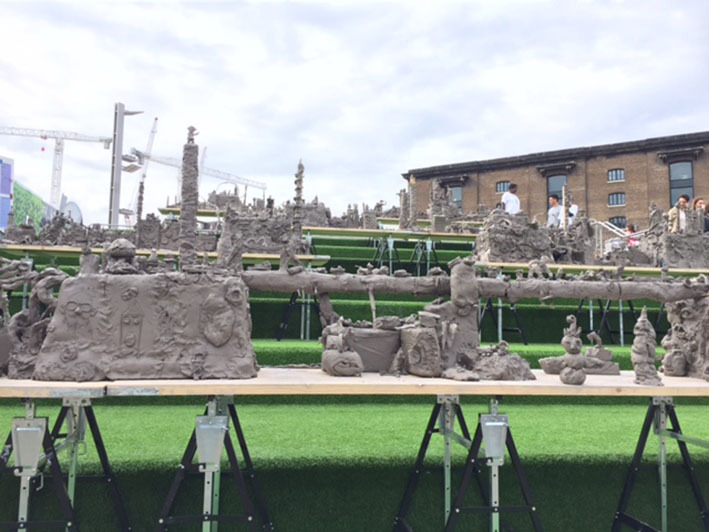 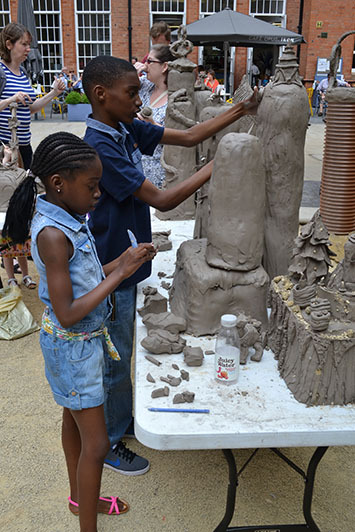 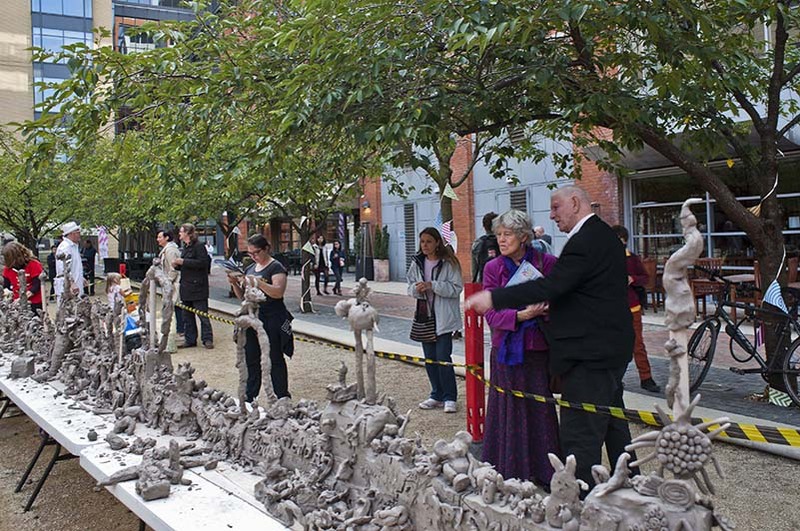 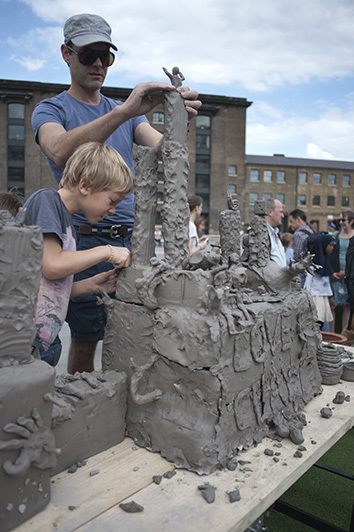 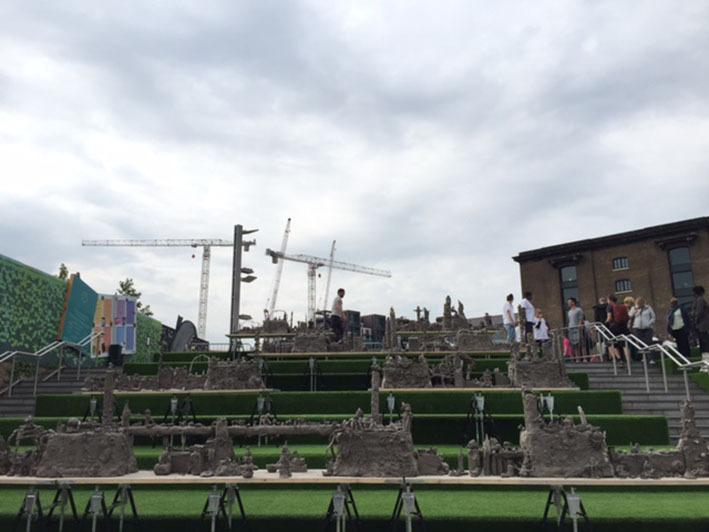 London 2015: as part of our canal-based project, Clay Cargo, we built A Monument to the City and its Anonymous Makers with 5 tons of clay beside the Regent’s Canal at Granary Square, King’s Cross. 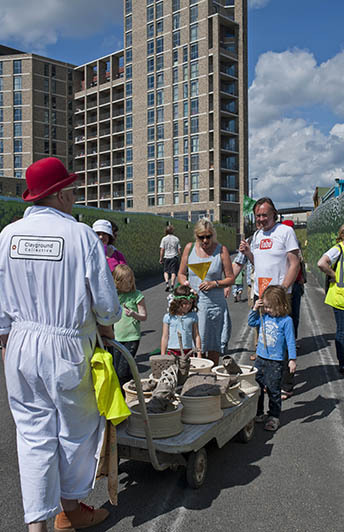 3000 people took part with 2000 onlookers over 2 days. 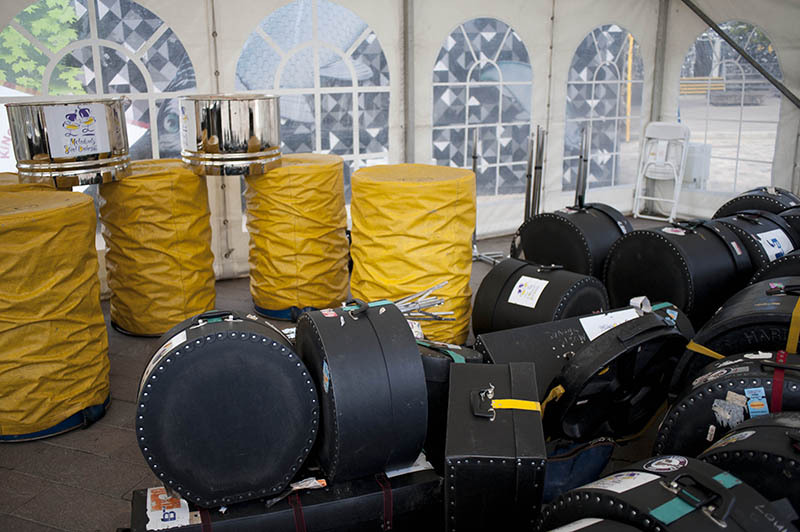 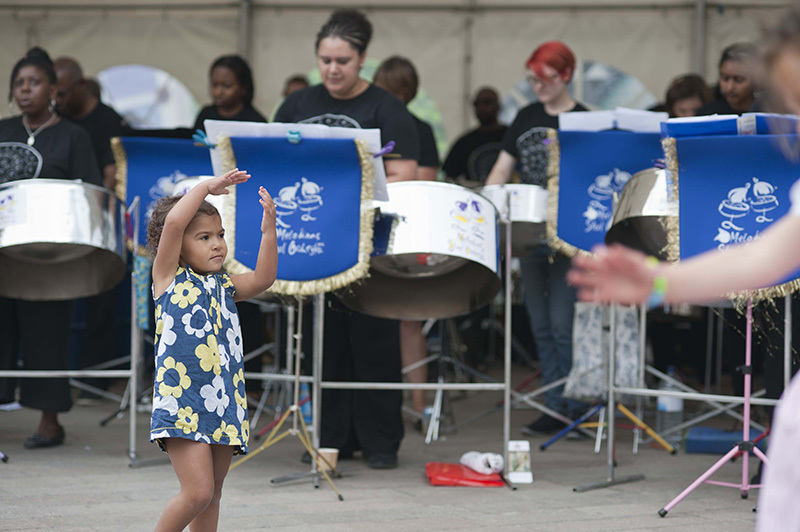 An original composition by Dead Rat Orchestra was performed by Melodians Steel Orchestra. 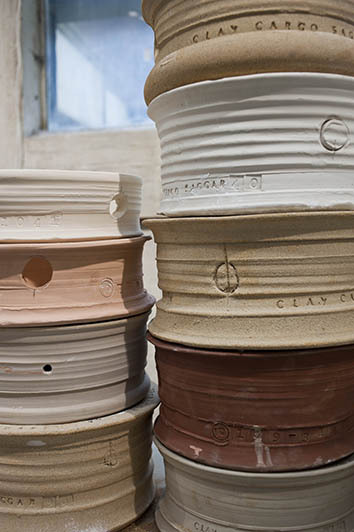 World clays dug by volunteers were incorporated as decoration on 150 saggars (cylindrical containers) thrown by Clayground’s Duncan Hooson. 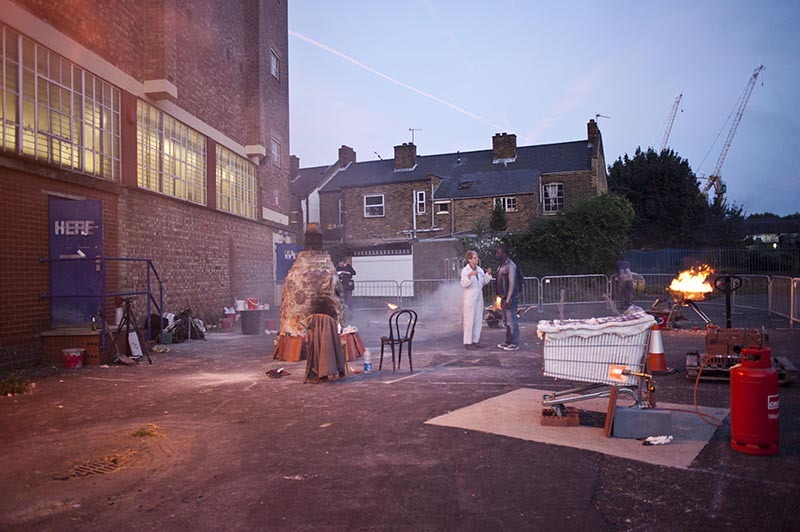 A film can be seen here. 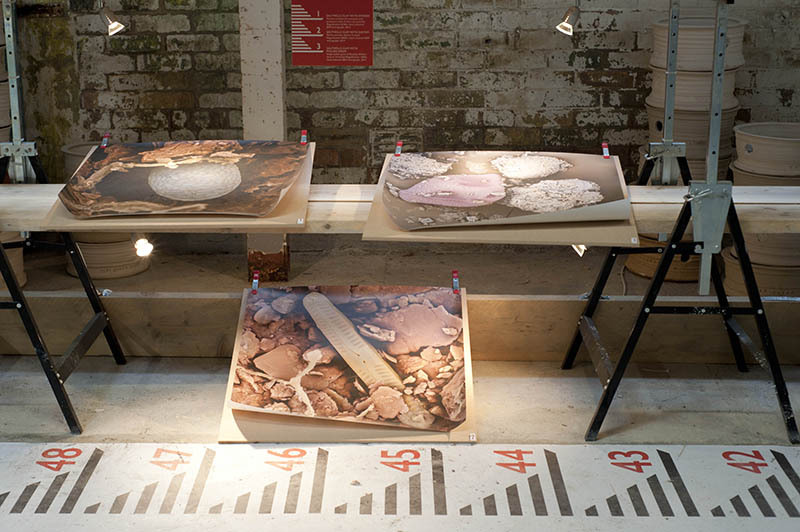 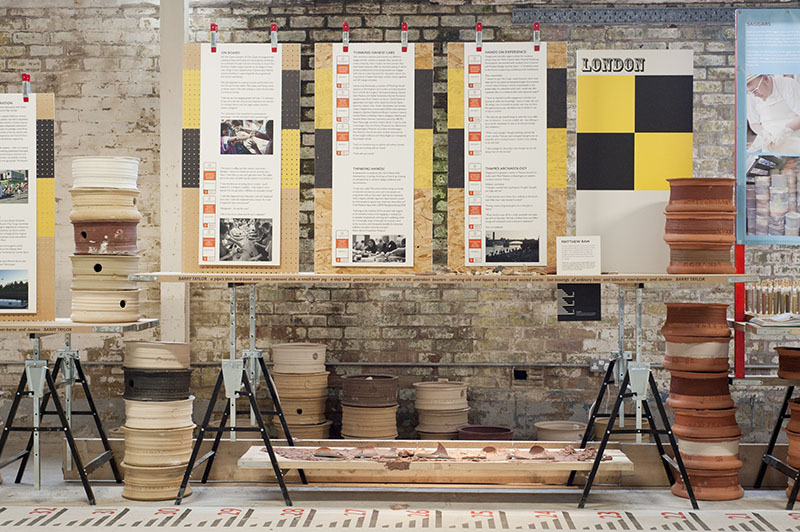 Exhibitions have been shown in St Pancras Library, Camden, London (2014); in the former Spode Factory as part of the British Ceramics Biennials, Stoke (2013 and 15); and at London Sculpture Workshop (2014). 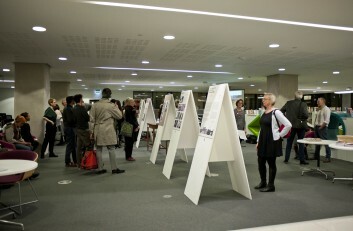 In Camden, London, this was the first exhibition to be staged in the new public Library in St Pancras Square. 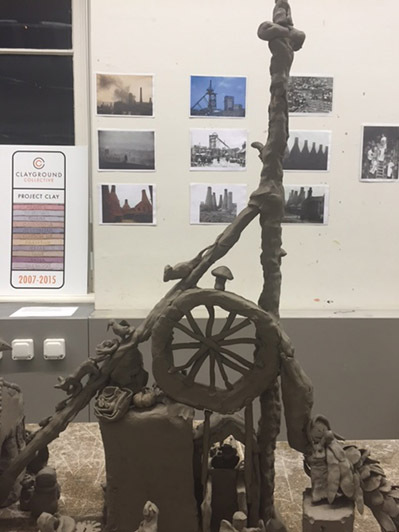 The display combined images of artwork and poetry commissioned as part of Clay Cargo 2014: Digging Deeper into Clay and Canals. 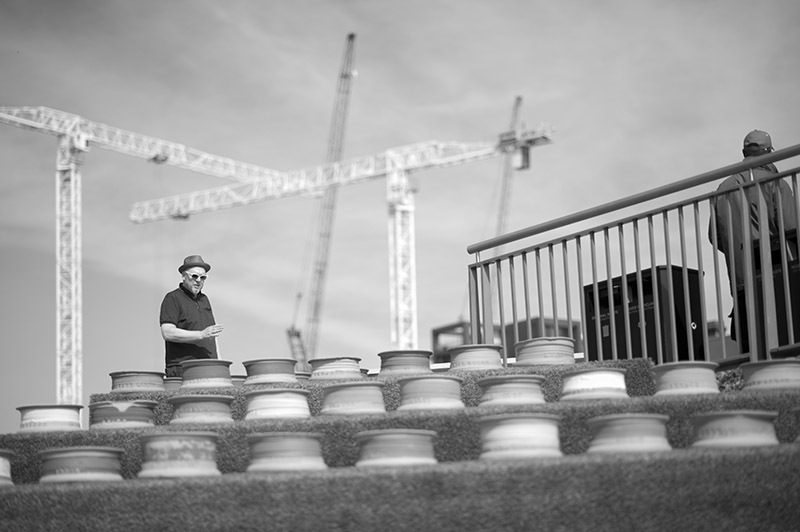 Peter Baxter, Senior Officer, Learning, Reader Development and Stock Services London Borough of Camden. 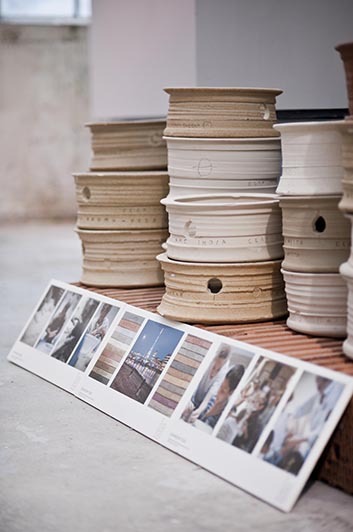 “Congratulations on the beautifully installed exhibition.. a great way to document the successful Clay Cargo journey this year. 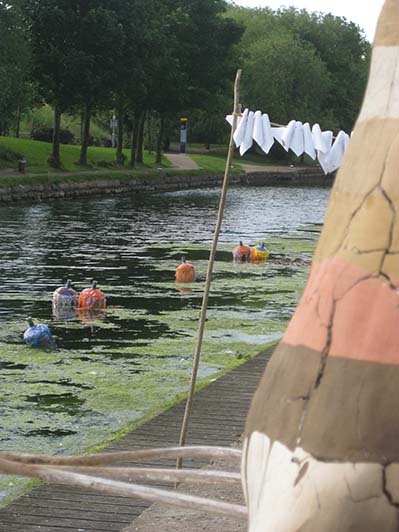 It was ..impressive to hear the poets reading the pieces they made through their collaboration with the ceramicists and artists – they were all so passionate!” Tim Eastop, Executive Producer, Arts on the Waterways, Canal & River Trust. 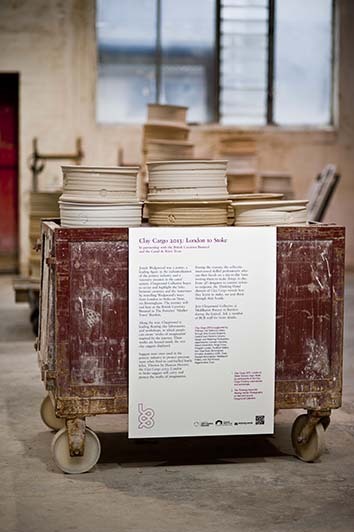 “The Clay Cargo installation made a major contribution to the BCB 2015 festival exhibitions on the former Spode factory site. 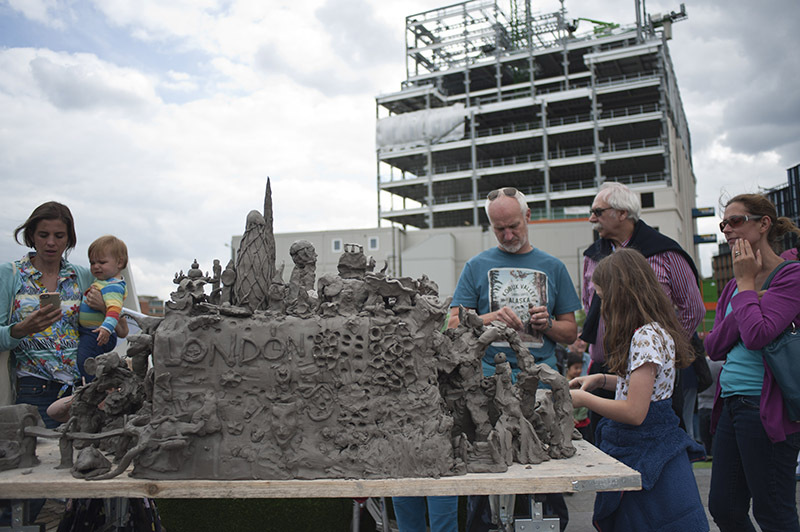 The monumental and dramatic display gave audiences a stimulating, comprehensive insight into the programme. 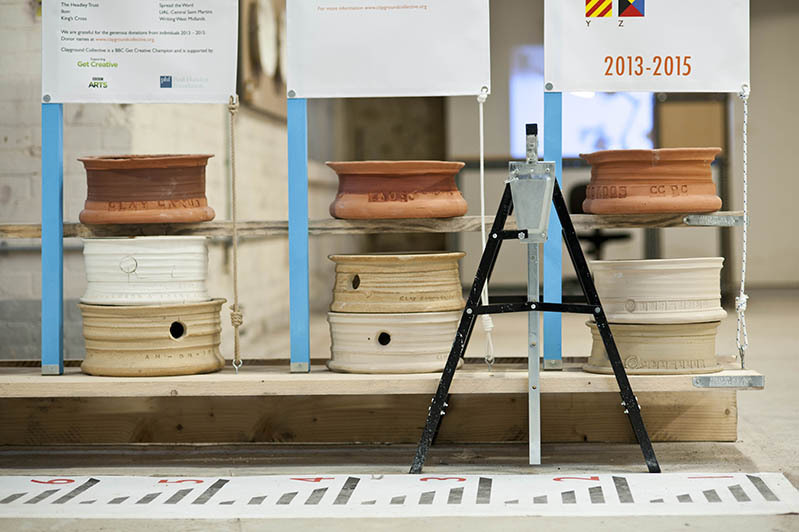 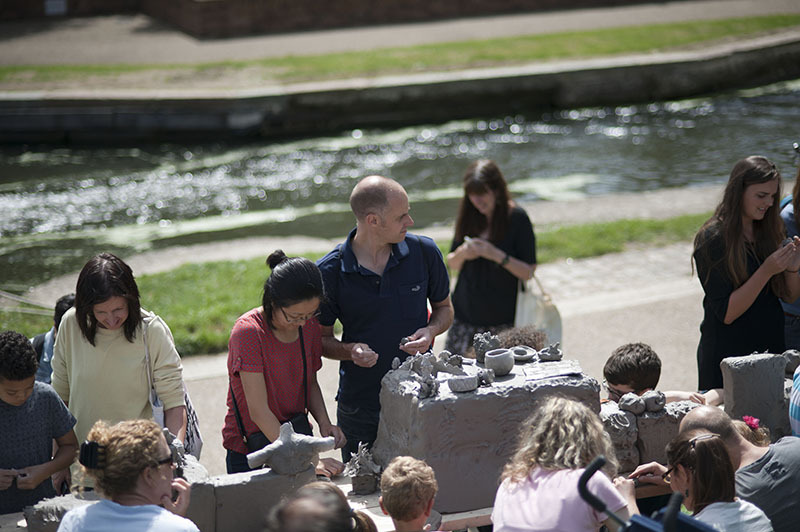 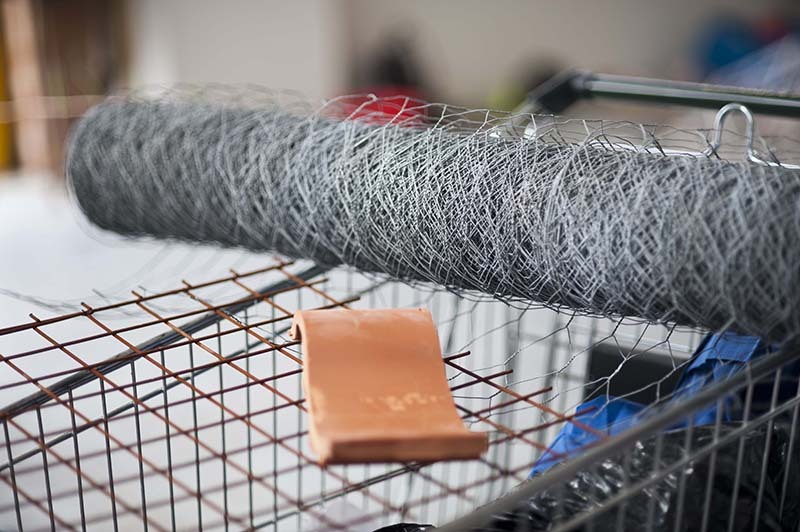 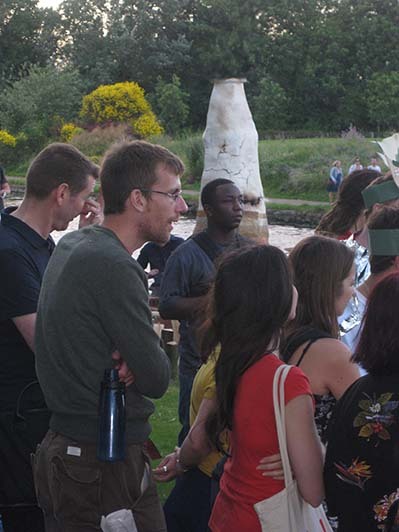 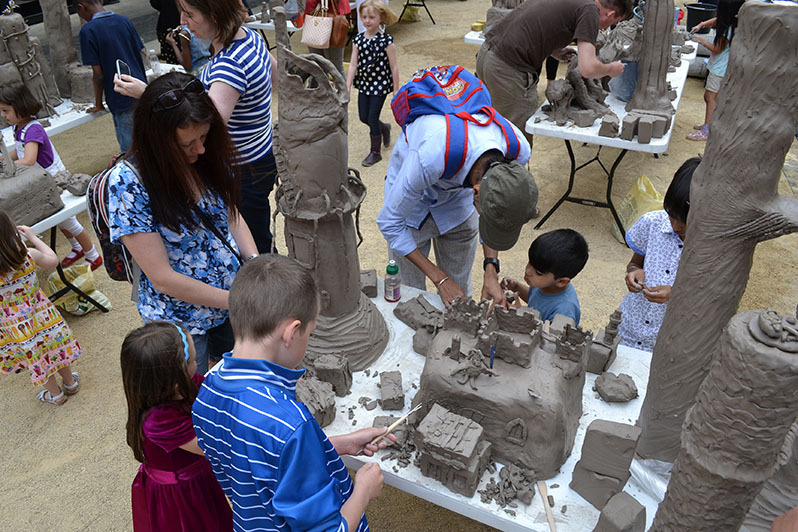 The Clayground workshops with making and poetry reading provided further animation and most importantly articulated the connection between canals and ceramic heritage and contemporary arts and clay practice.” Barney Hare-Duke, Director, British Ceramics Biennial. 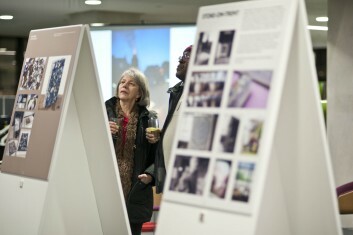 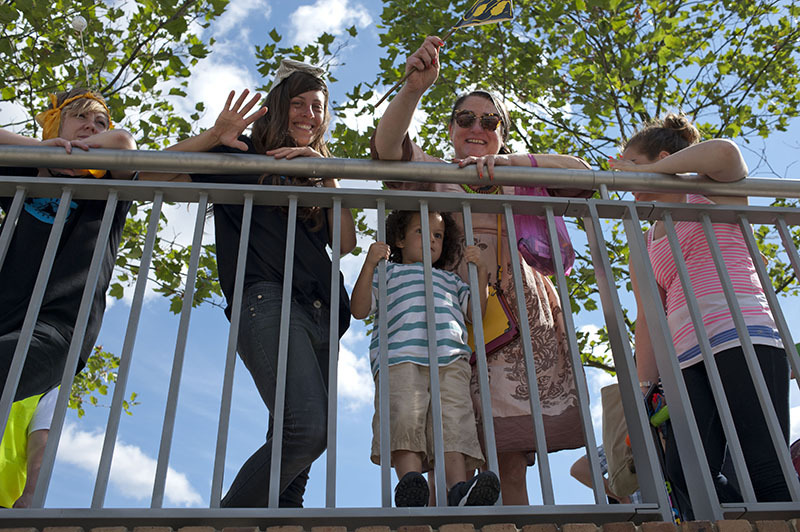 With Morley Gallery, South London, we created an installation with the public to celebrate the launch of London 2012. Marathon Make involved members of the public and sessions with youth and mental health groups over a period of a week. 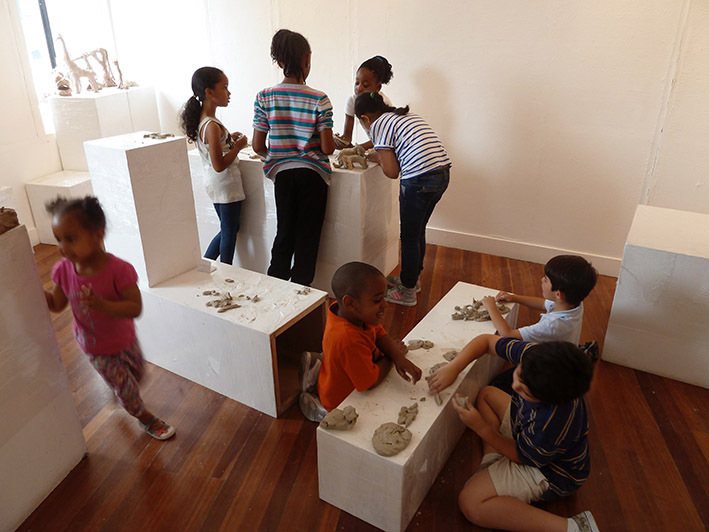 Making sessions happened in the gallery itself and the installation was open to the public. At Middleport Pottery, Stoke (2013), a combination of working pottery, museum and gallery, Pits and Pots explored the career choices presented to Stoke youth up until the 1980s: to go down the mines or into the pottery factories. 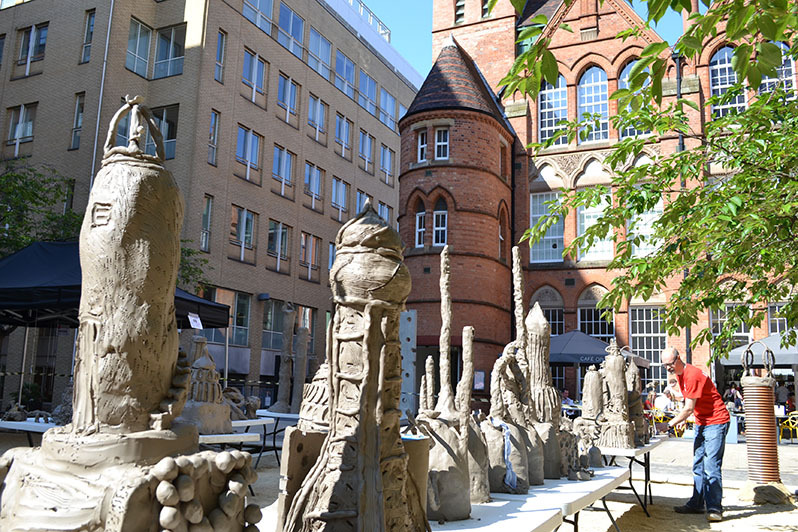 This sculpture was remounted at the Victoria and Albert Museum in 2015 as part of a Friday late night celebration of The Potteries. 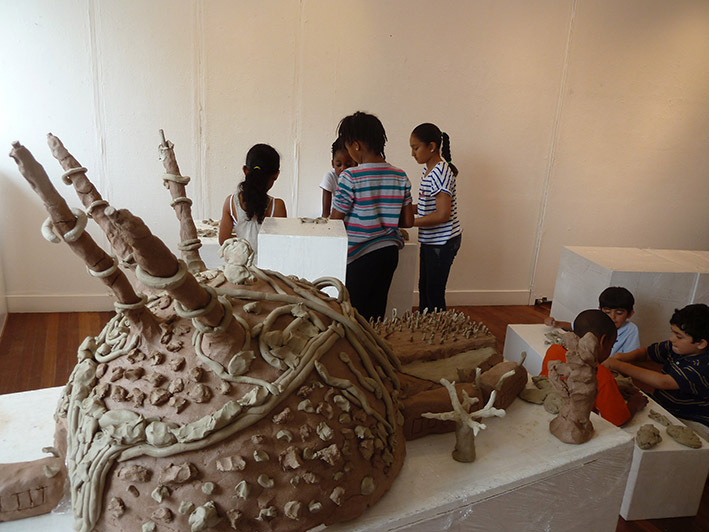 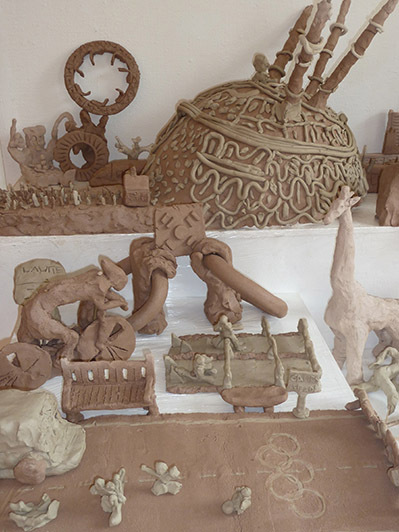 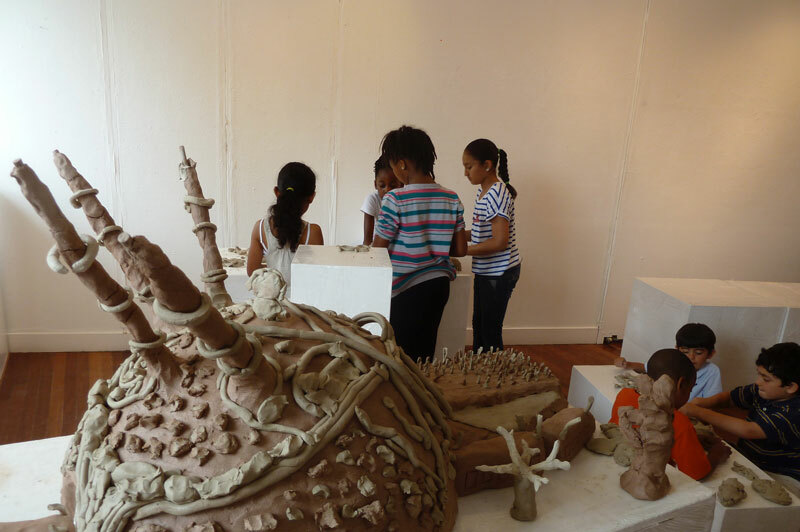 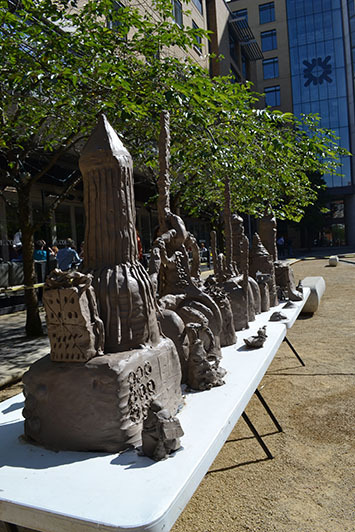 During Firing Up, the Crafts Council’s national programme to revive clay skills, Clayground led professional development days for teachers in 11 cities. 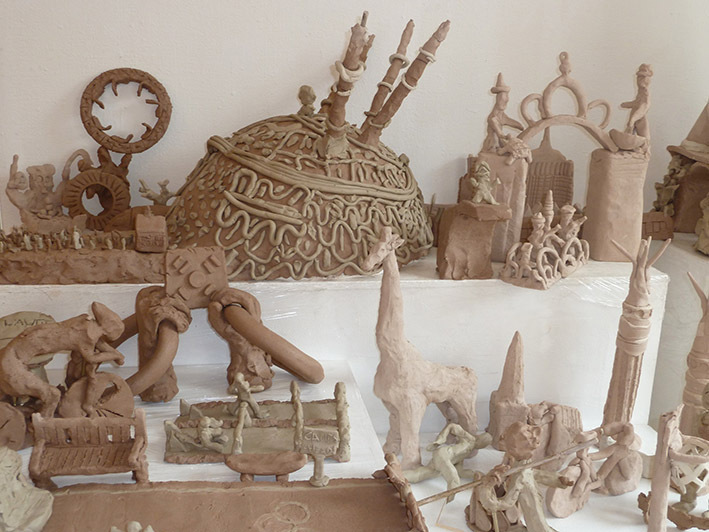 The majority of these took place, or linked in some way to the local museum as source of inspiration and/or maker-space. 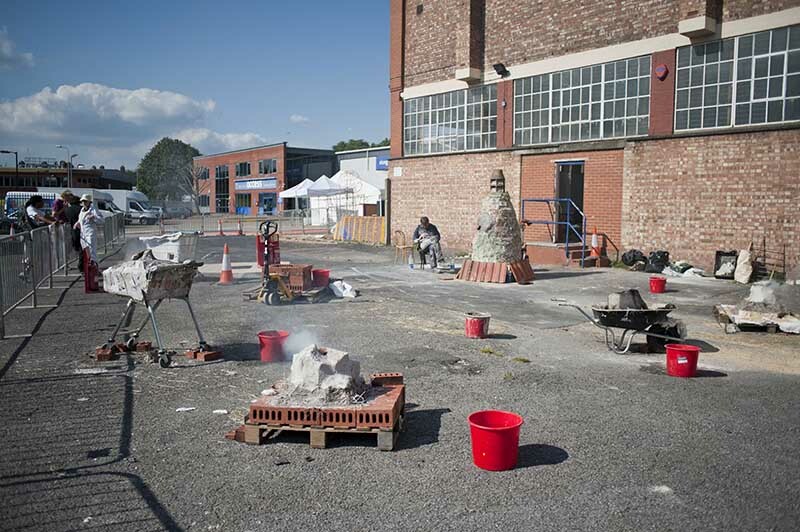 Clayground has worked extensively with Ikon, Birmingham, on public events and with Ikon Youth Programme. 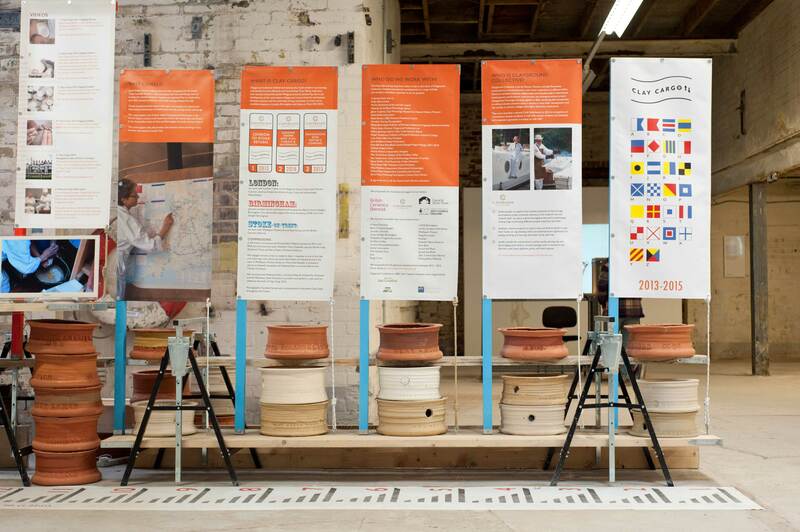 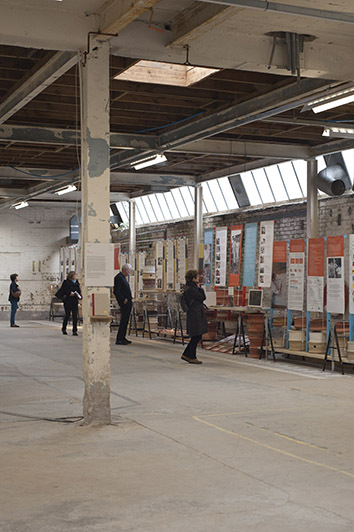 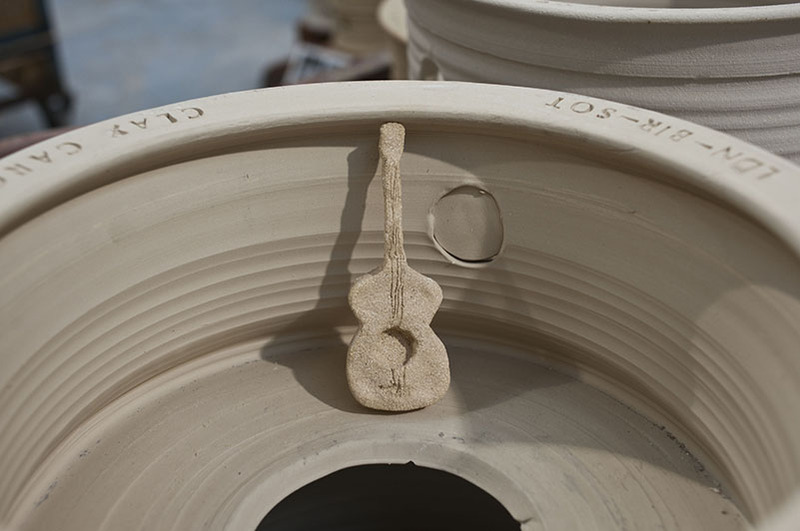 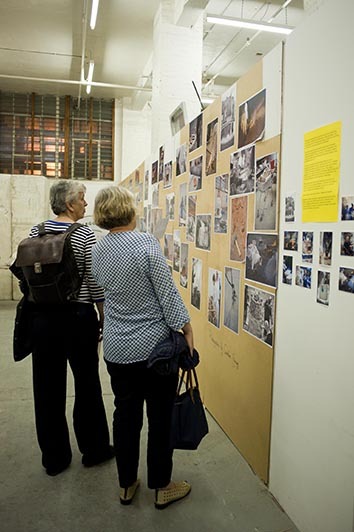 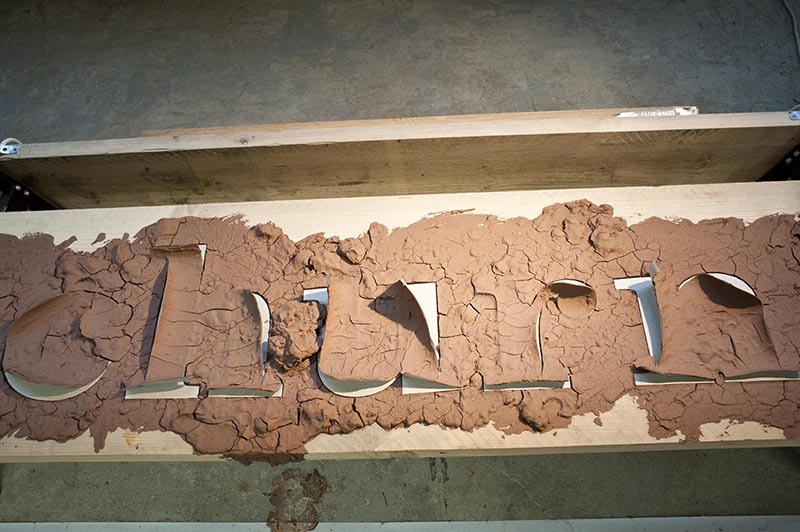 Clayground has twice exhibited in the former Spode Factory at the British Ceramic Biennial. 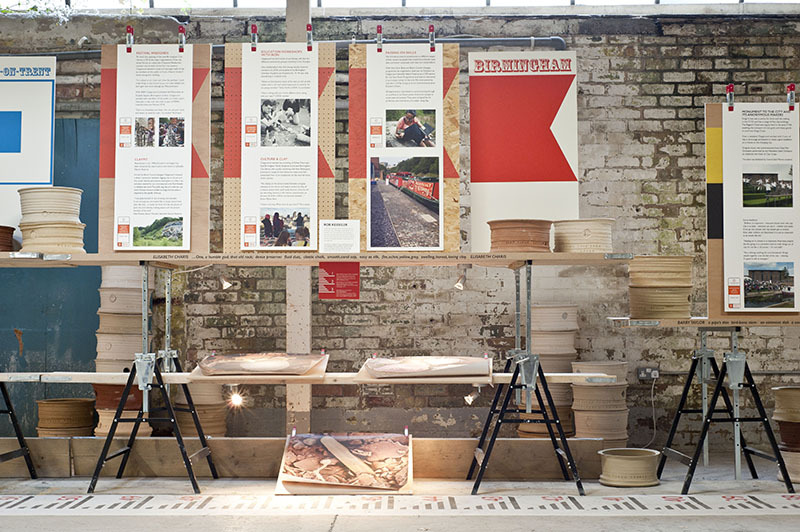 For more information go to Public, exhibitions page. 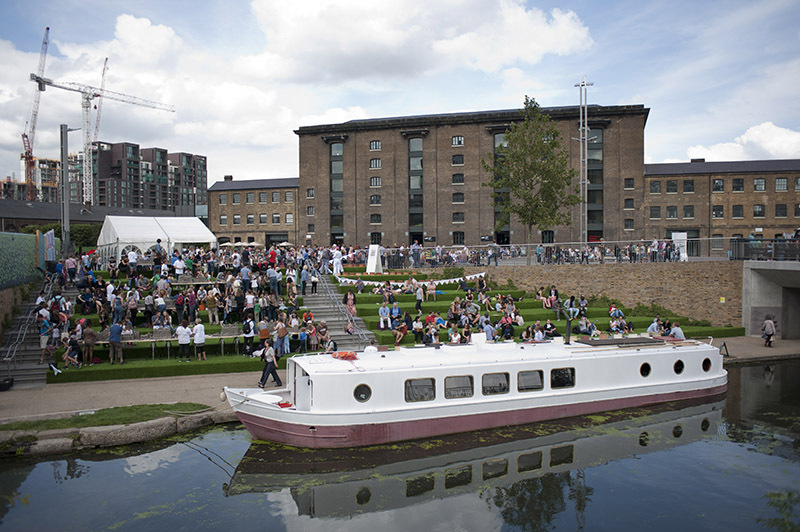 King’s Cross is the largest central urban site of regeneration in the UK with 67 acres of new buildings, where the Granary Building beside the Regent Canal is home to Central Saint Martins. 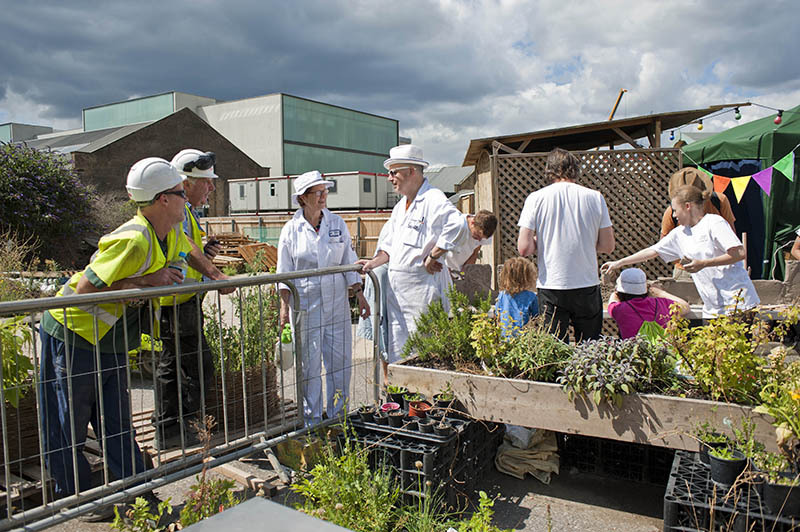 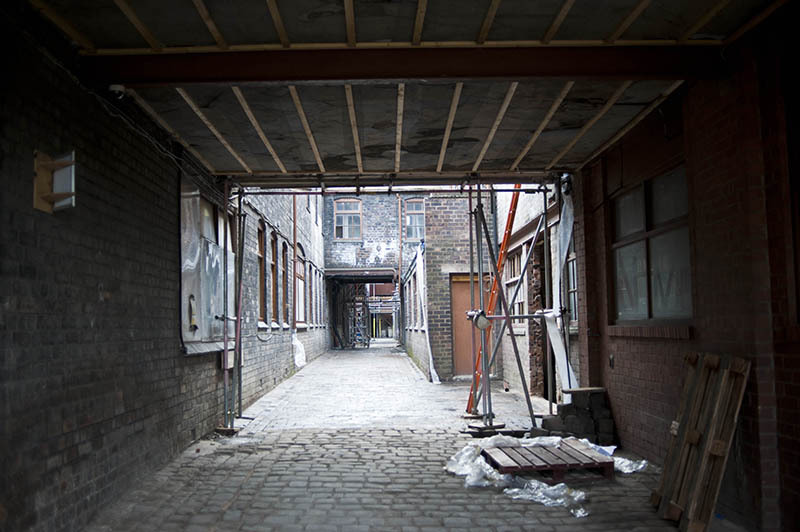 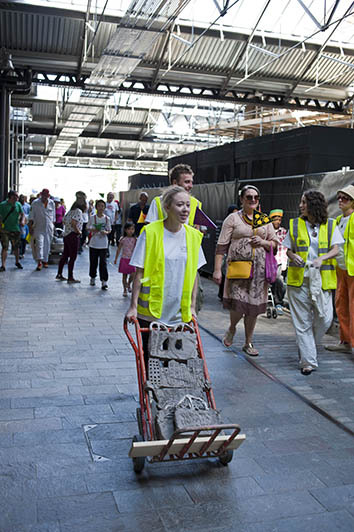 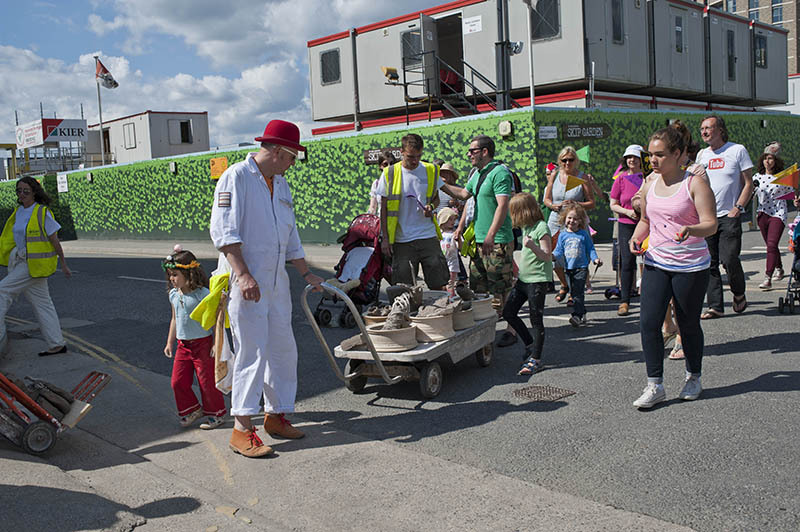 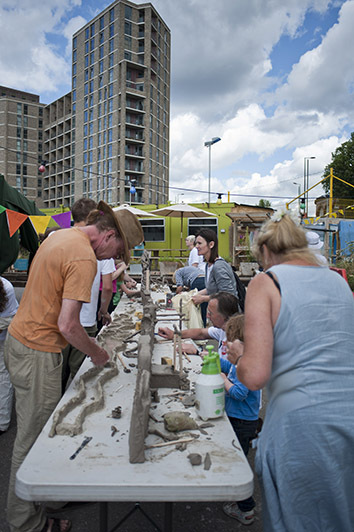 Clayground has worked extensively with the college of art and different partners in the area, staging workshops and events as a contribution to place-making, community building and regeneration. 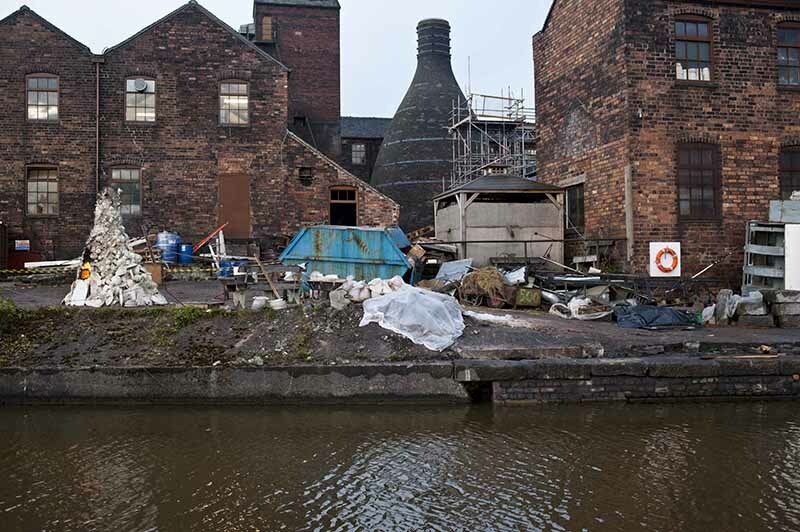 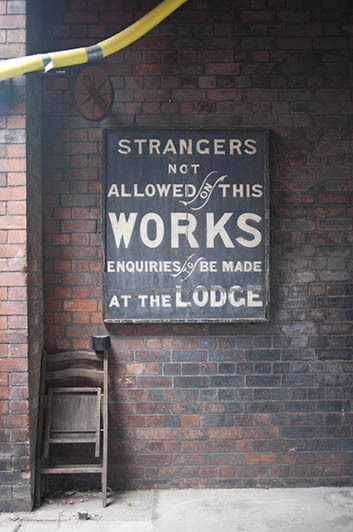 Recently restored by the Prince’s Trust in Stoke-on-Trent, Middleport Pottery is home to Burleigh, a must-see gem of Britain’s industrial history. 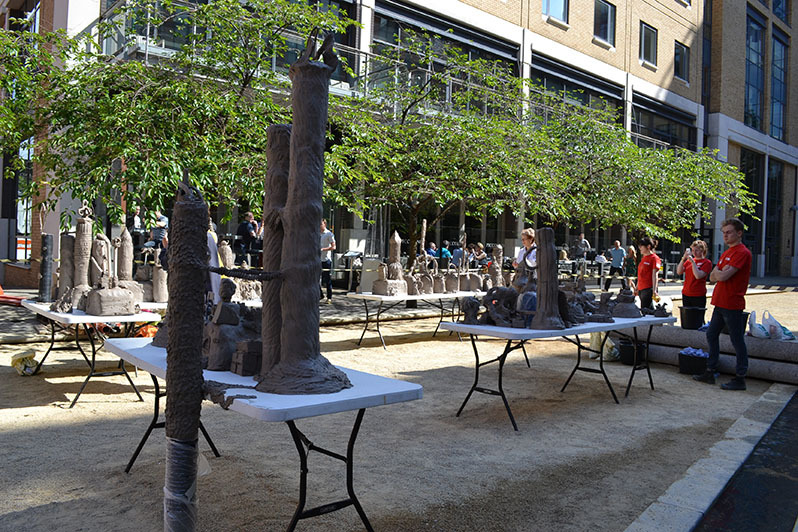 Clayground has led several public projects here. 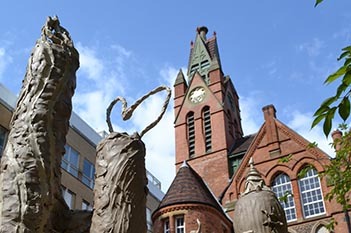 A large sculpture, Pits and Pots, explored Stoke youths’ career choices until the 1980s – to go down the mines or onto the potbanks. 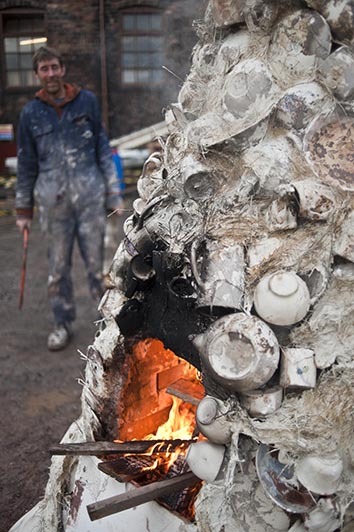 Kiln specialist, Martin Brockman, constructed a kiln from Burleigh pottery waste, echoing the shape of Stoke’s distinctive bottle kilns. 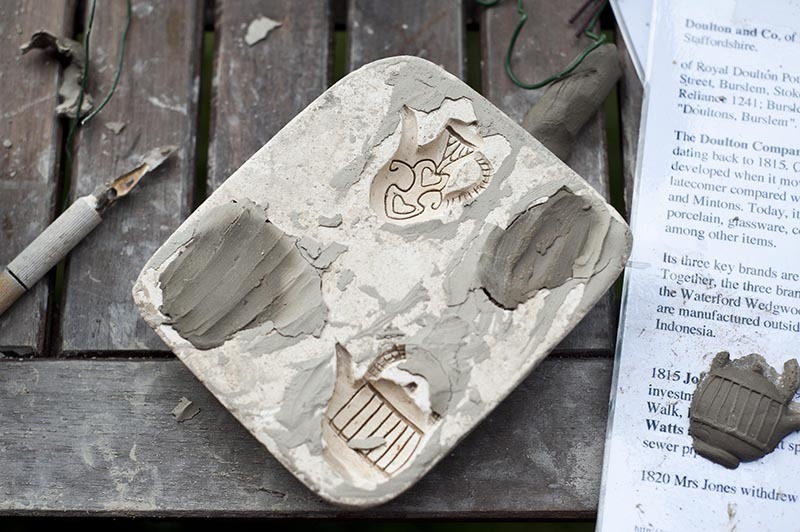 Activities were aimed at bringing new audiences to Middleport and sparking conversations about clay across the generations. 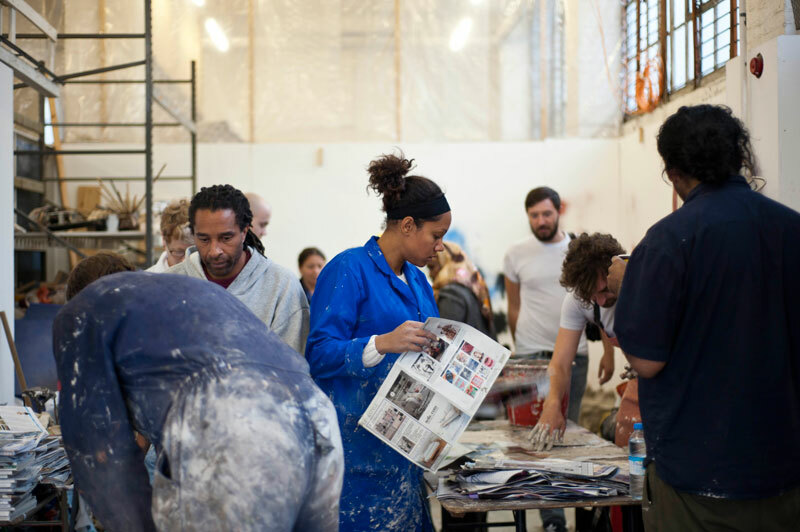 “The weekend raised our profile as a venue for creative activities not just as a “museum”. 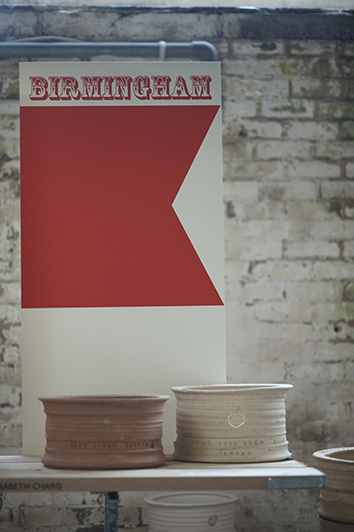 Martin [Brockman – kiln artist] was a brilliant communicator and always took the time to chat to staff, volunteers and visitors. 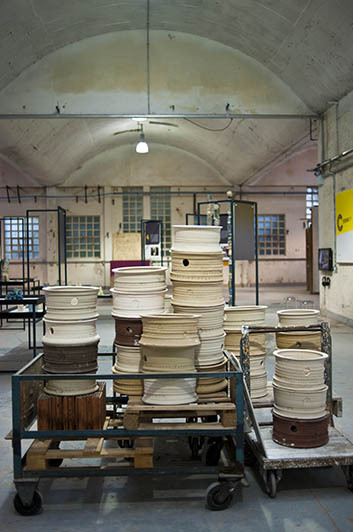 People are used to the practicalities of the ceramic industry, it adds a new dimension to see it interpreted in art and encourages people to look to a creative future rather than just an industrial past.” Teresa Fox-Wells, Visitor Services Manager, Prince’s Trust, Middleport Pottery. 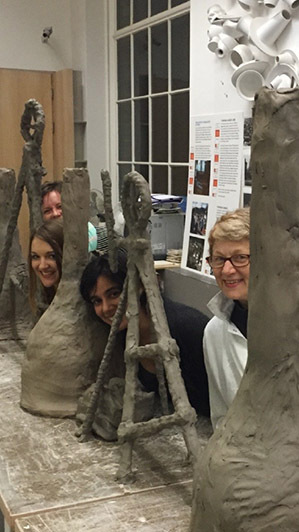 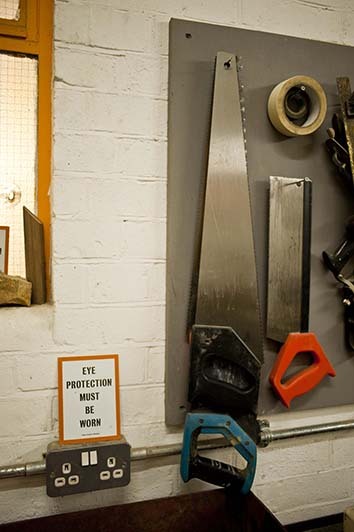 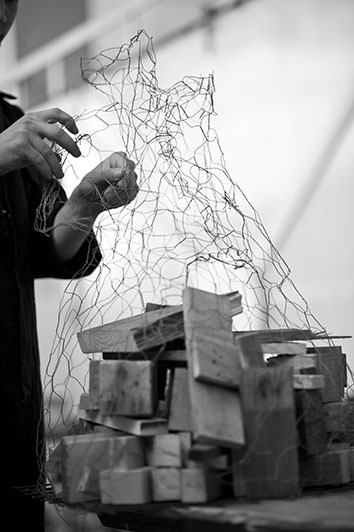 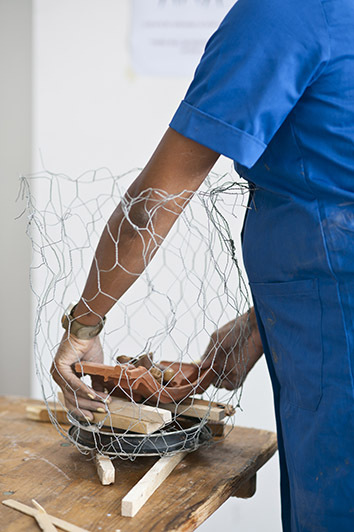 Collaboration with London Sculpture workshop in 2014 enabled a kiln construction course with members of Crisis art group. 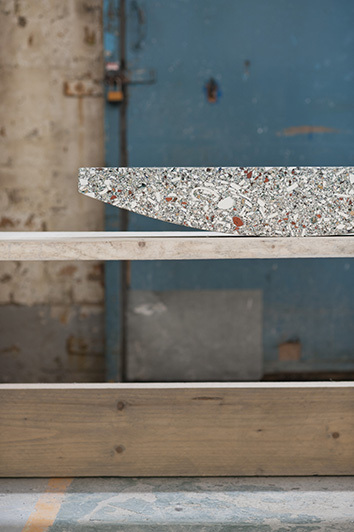 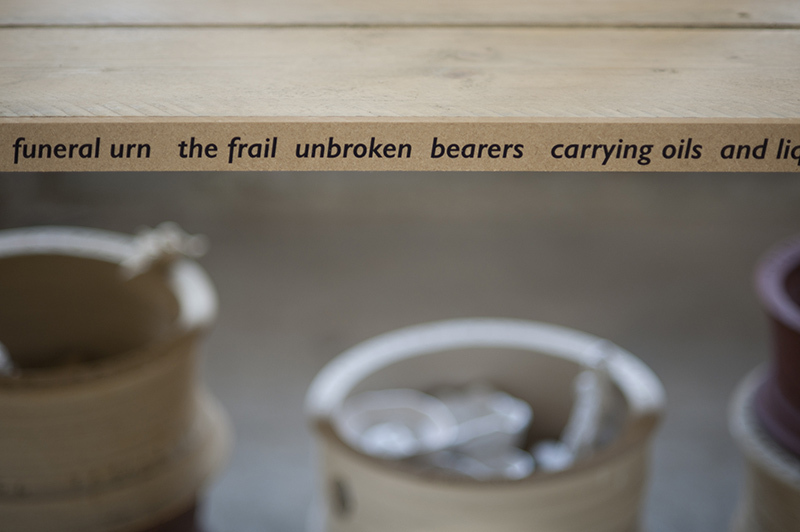 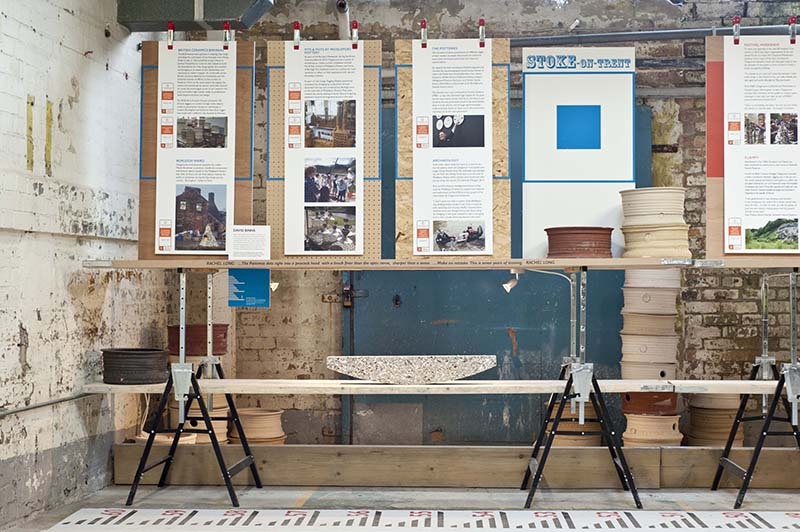 Different types of kiln from brick-built updraught to paper, raku and suspended, provided the focus for community celebration to mark the final chapter in the Bermondsey Project, an arts hub in south London housed in a large building awaiting redevelopment. 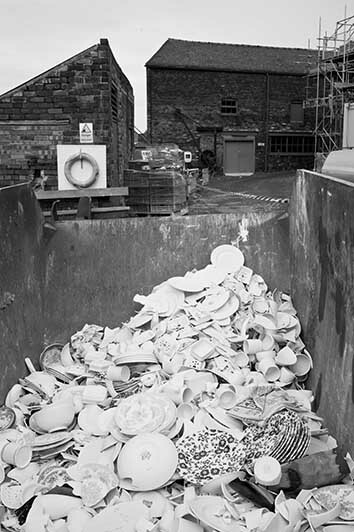 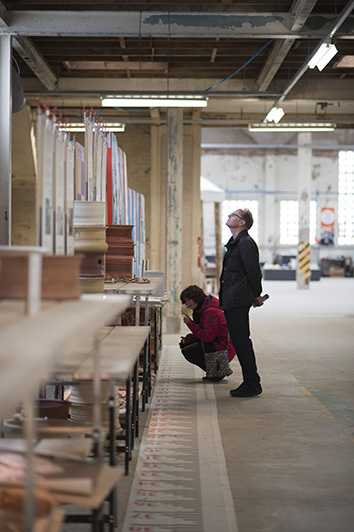 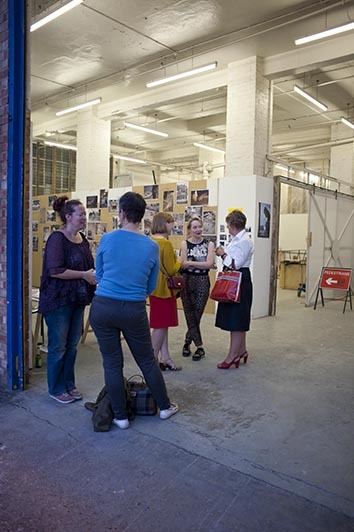 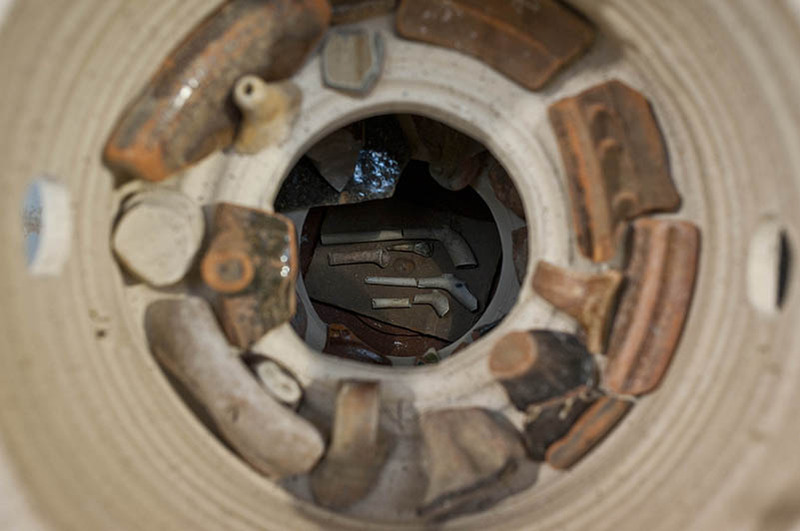 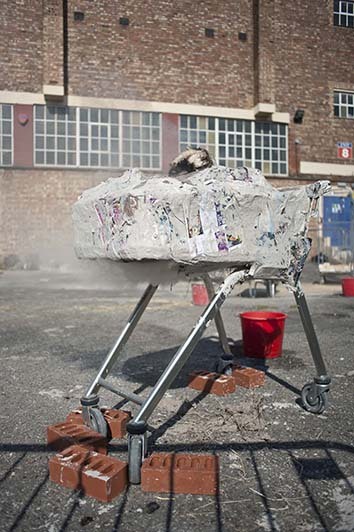 The British Ceramics Biennial (BCB) takes place in the former Spode Factory, Stoke-on-Trent. 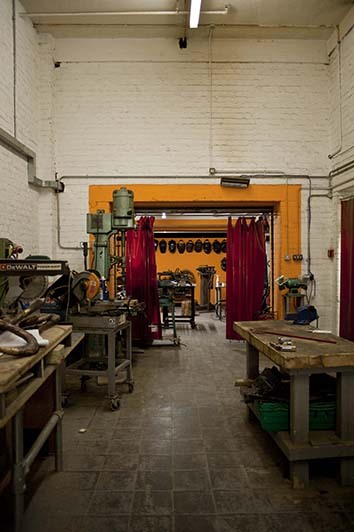 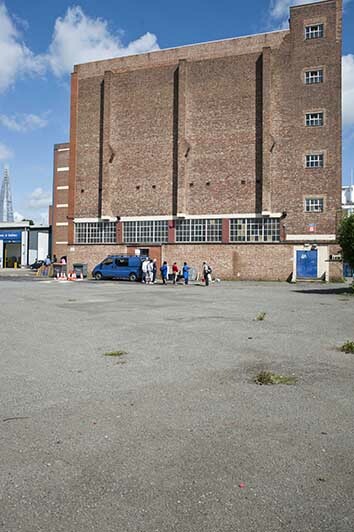 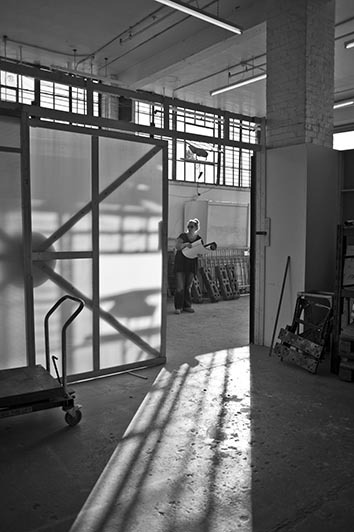 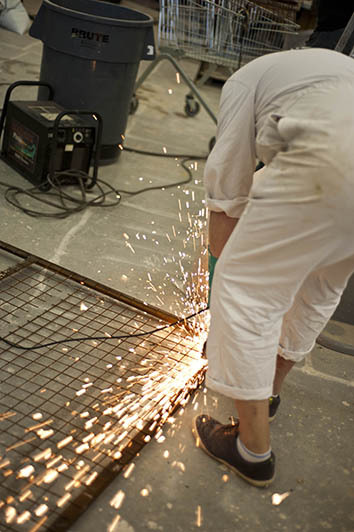 Clayground’s exhibitions and workshops at the BCB are designed with this redundant industrial space as context. 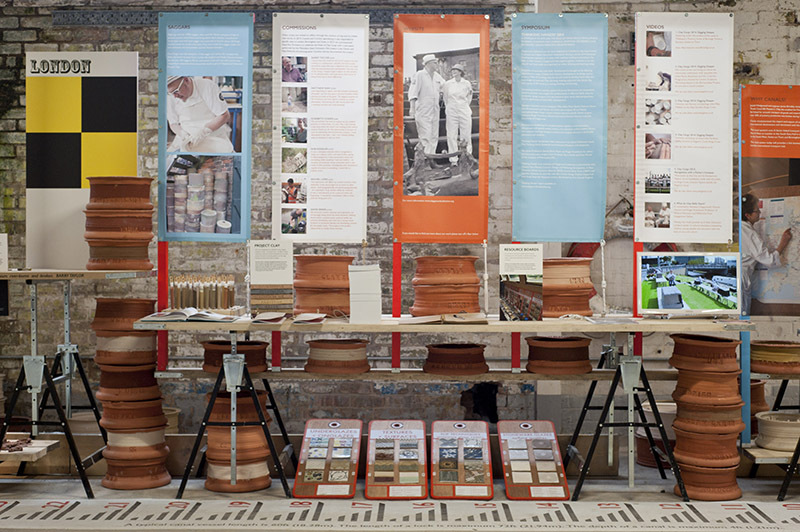 Clayground celebrates clay in all its guises: as a medium for ceramics throughout time and key ingredient at technology’s leading edge. 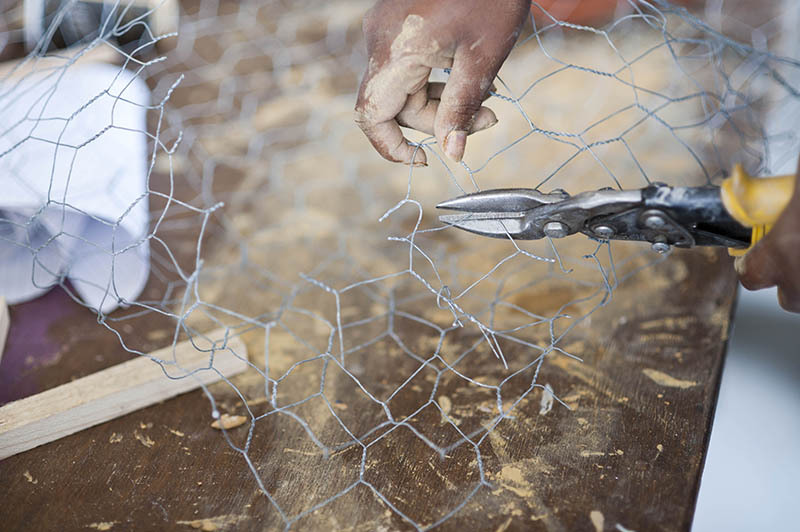 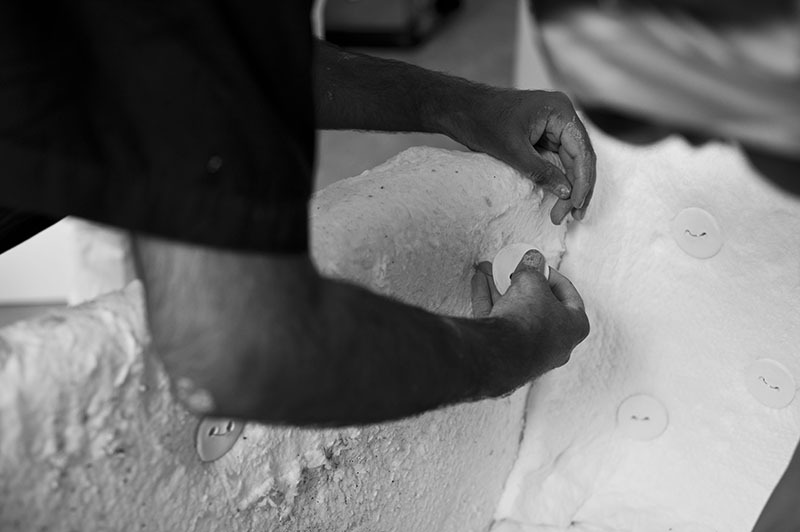 We collaborate with makers and materials scientists. 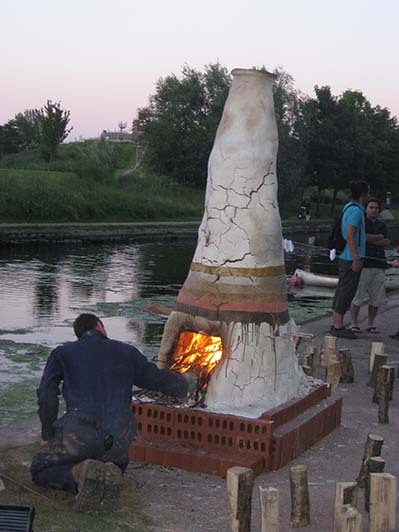 With London Sculpture Workshop (LSW) in 2014 we created a course on kiln construction and community celebration. 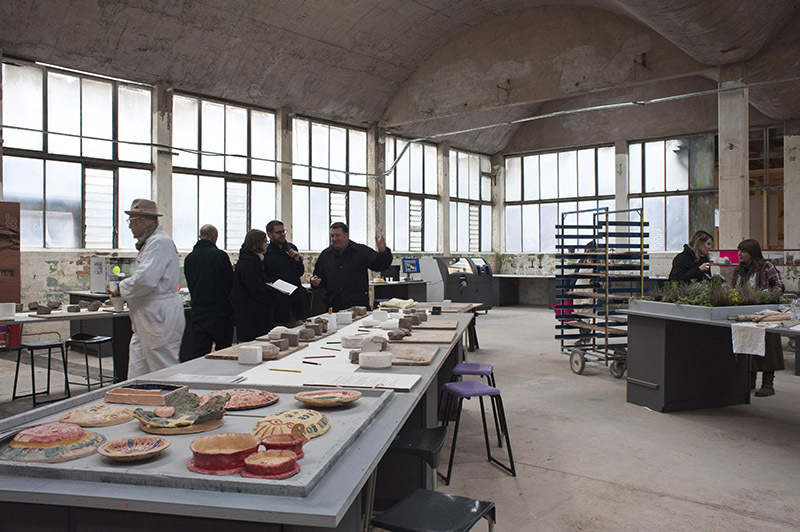 This facilitated knowledge exchange between kiln-artist, Martin Brockman, Clayground, LSW and participants. 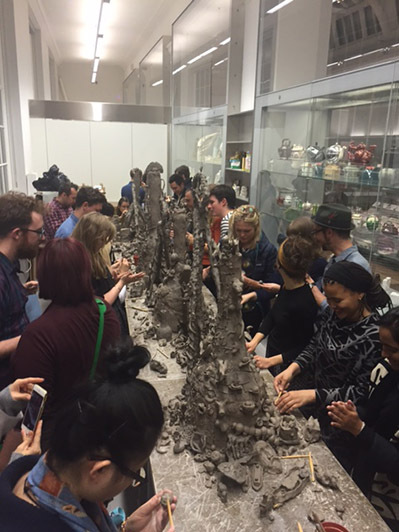 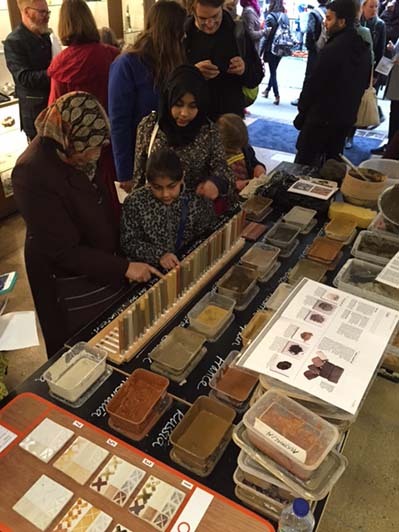 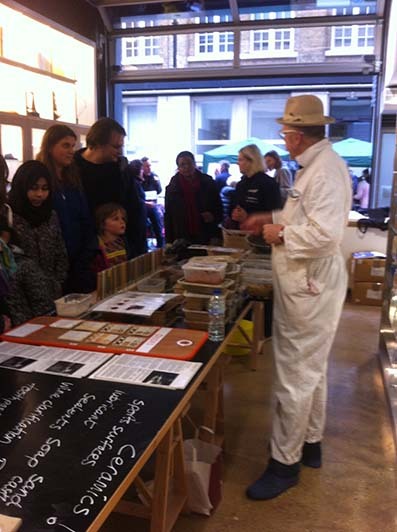 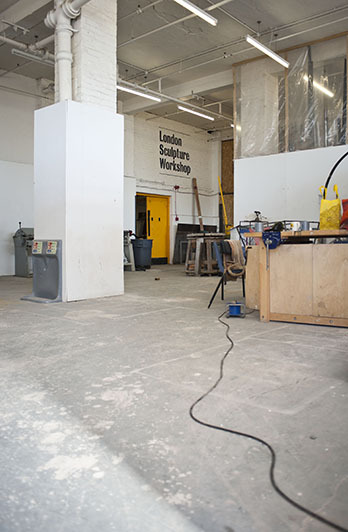 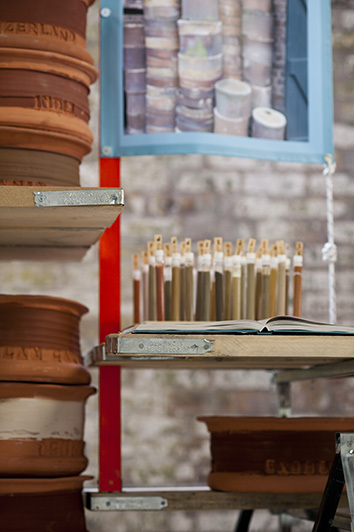 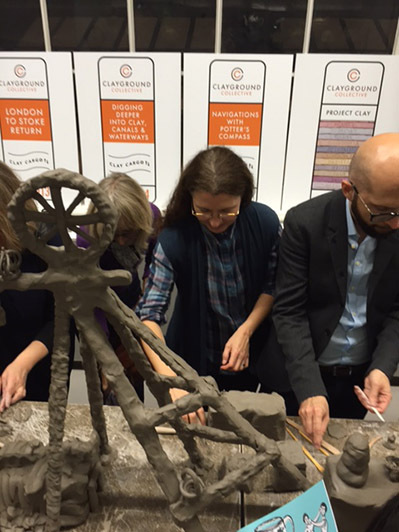 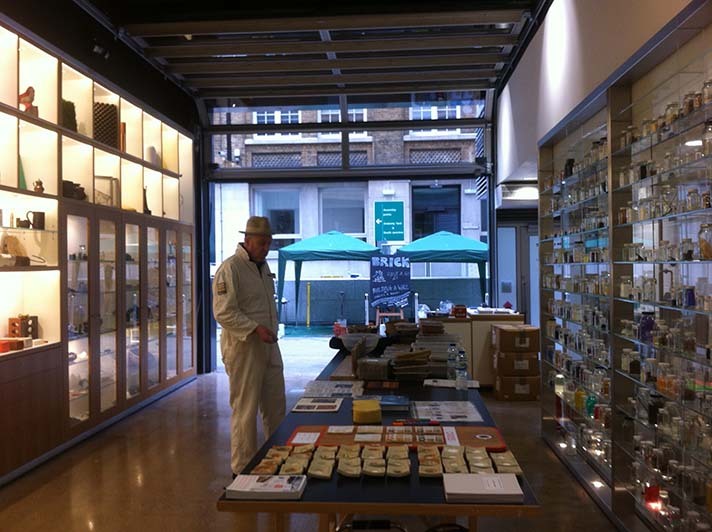 In 2015 we teamed up with the Institute of Making, University College London, for an open day on ceramics and clay. 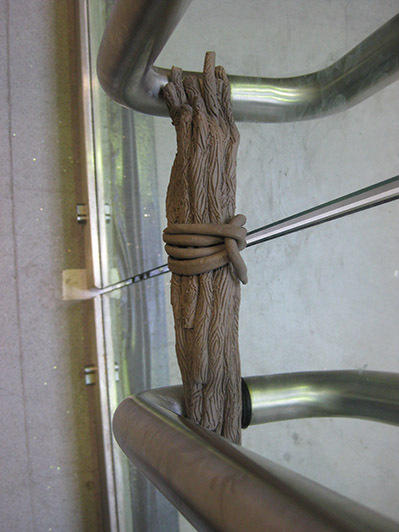 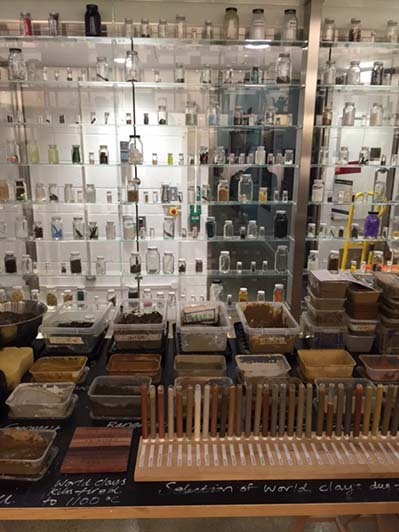 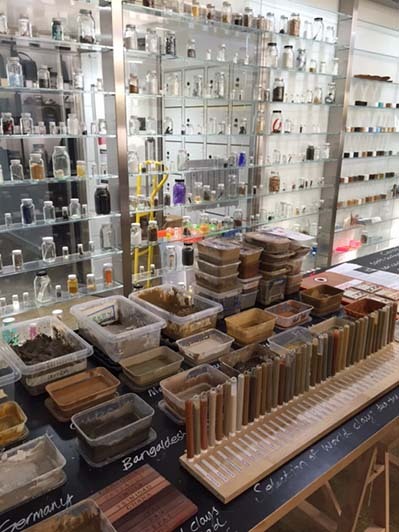 We displayed our collection of world clays and materials used in glazing. 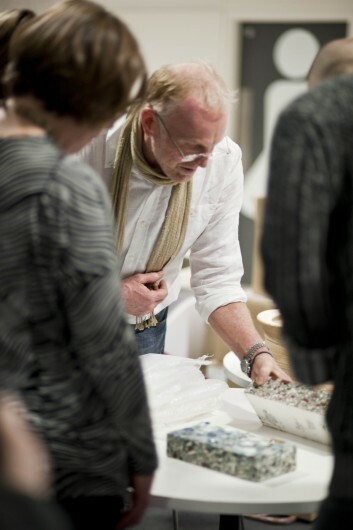 Clayground colleague, archaeologist Mike Webber, displayed ceramic fragments from early industrial processes. 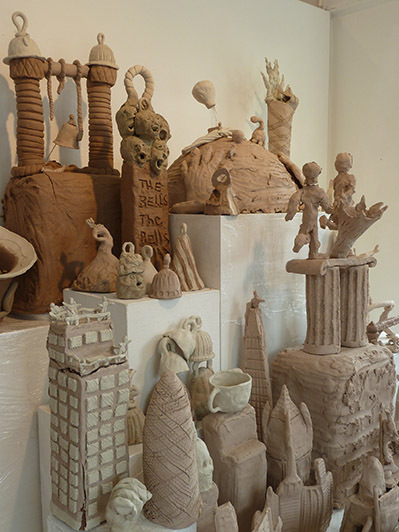 “Thank you so much for your input to the Clay and Ceramics Day. 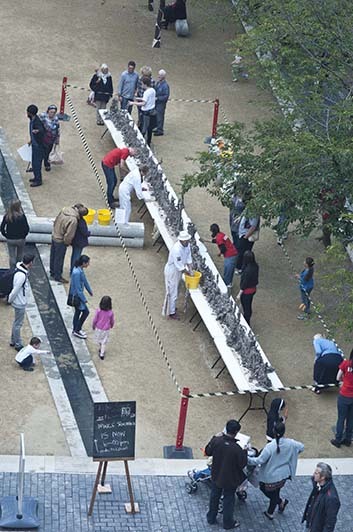 It was a huge success. 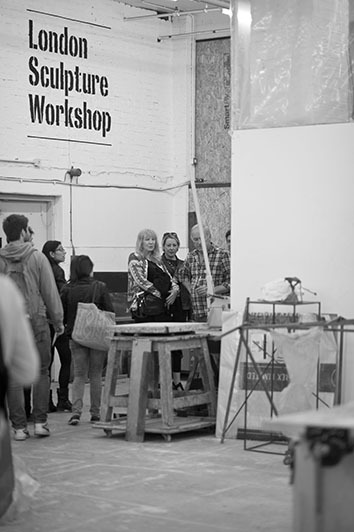 We have had so many excited and inspired people telling us stuff on Twitter.” Olivia Clemence, Events Manager, Institute of Making. 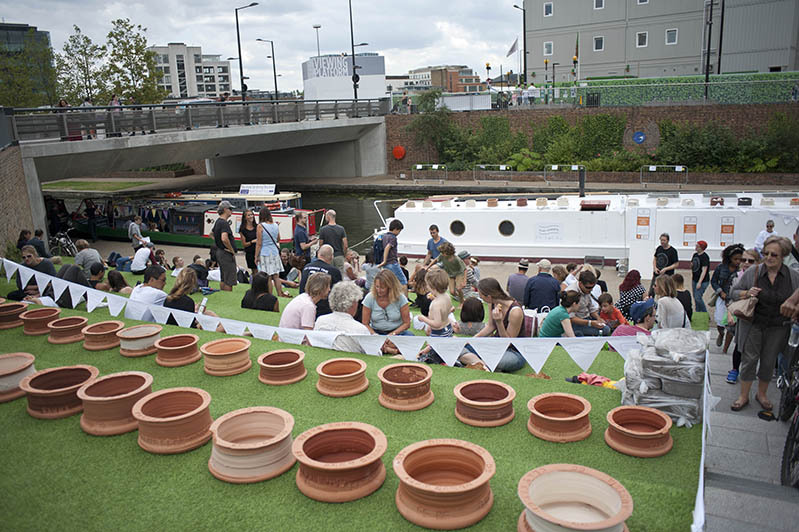 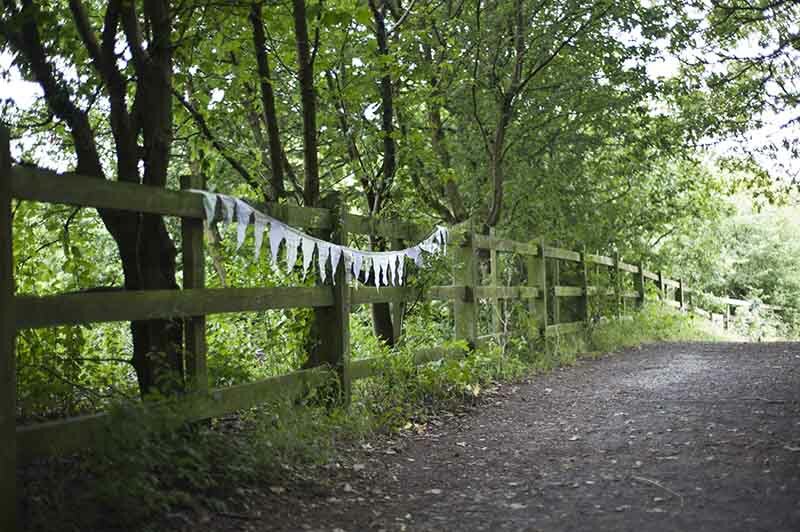 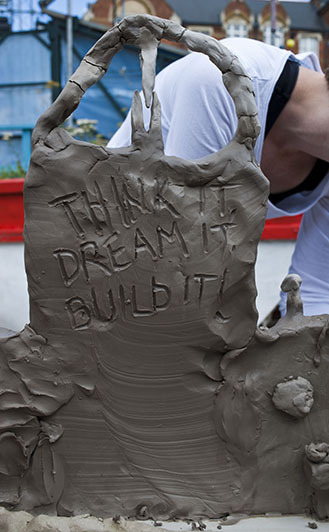 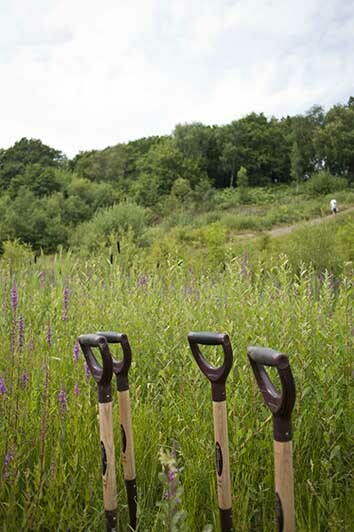 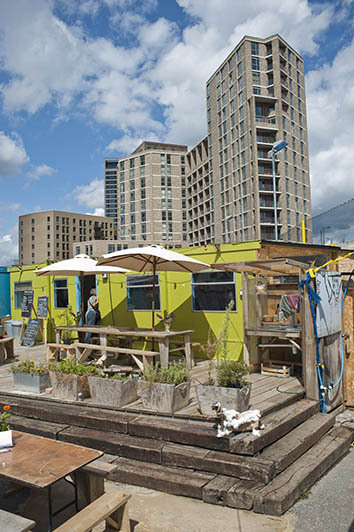 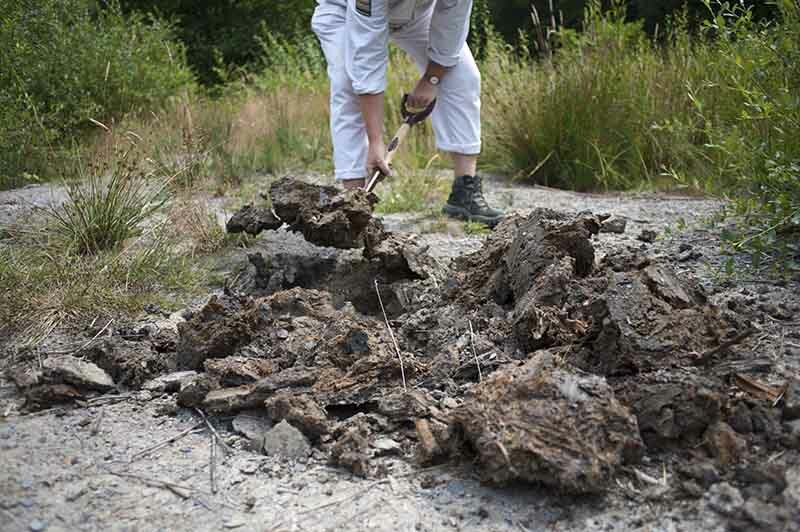 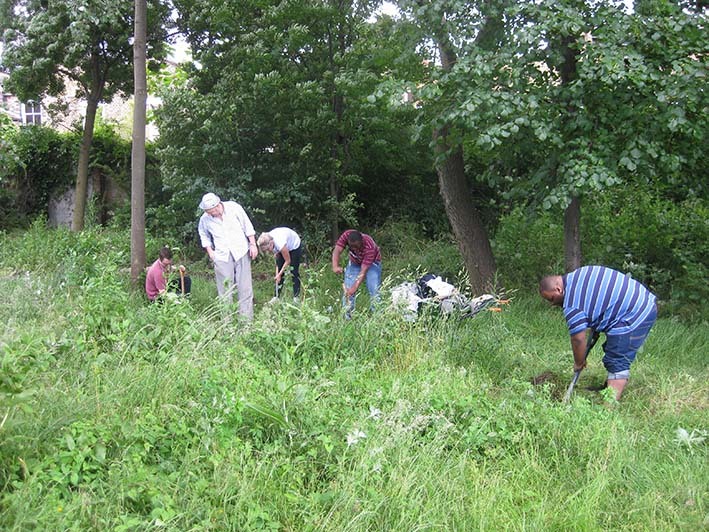 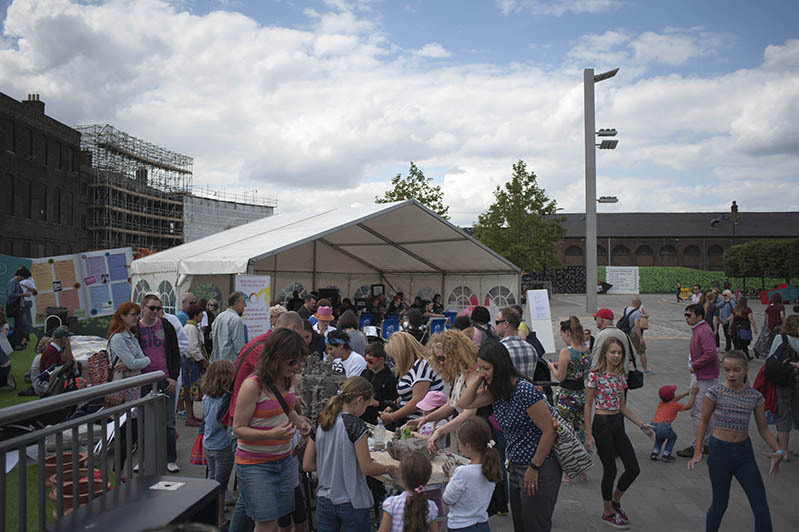 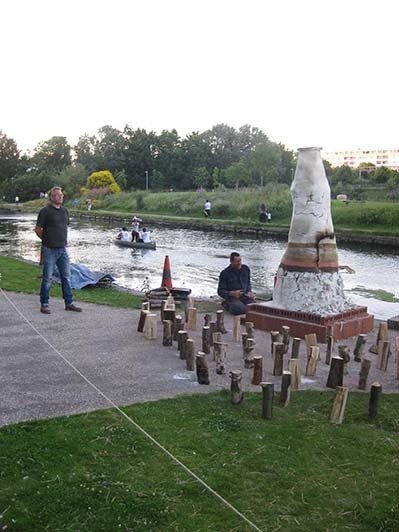 Finding the countryside in the city, with Project Phakama in 2012, we created an event with clay digging, tile-making and kiln-building in a parkland setting beside the Regent Canal in East London. 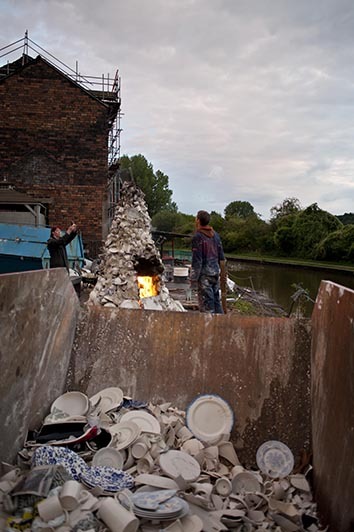 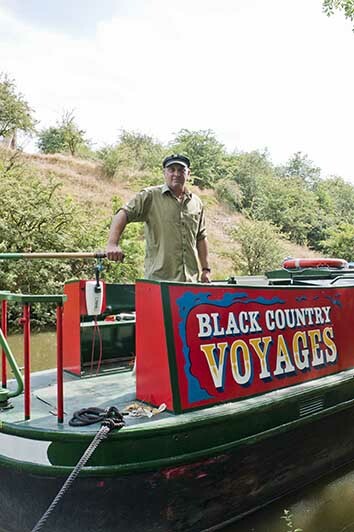 As part of Clay Cargo: Digging Deeper into Clay and Canals (2014) we teamed up with Ikon and their boat-based youth programme, Black Country Voyages, to explore Doulton’s ex-clay pit at Saltwells, Dudley. 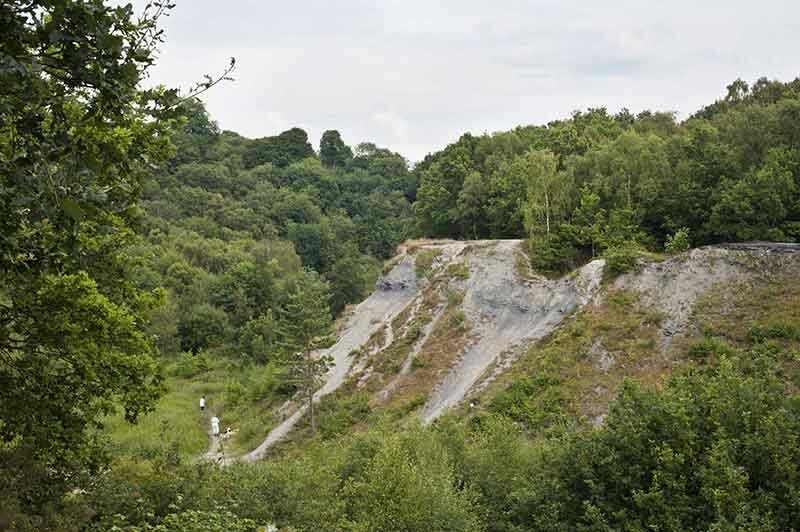 This huge quarry, used for decades by renowned ceramics industrialist Doulton, was rendered obsolete by the bursting of an underground river. 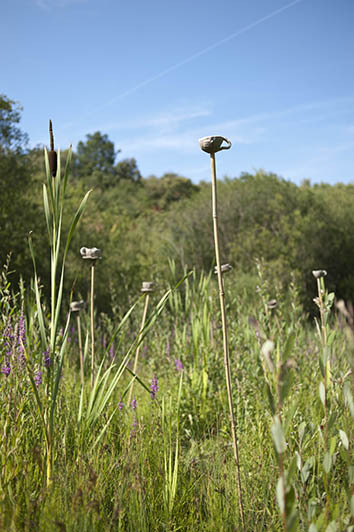 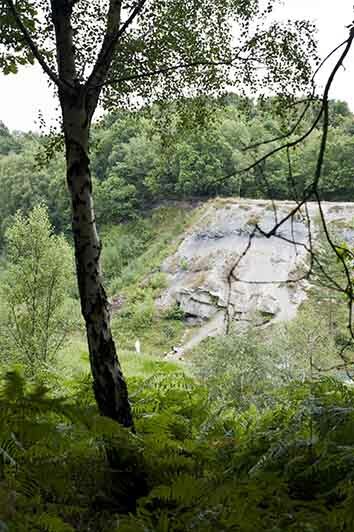 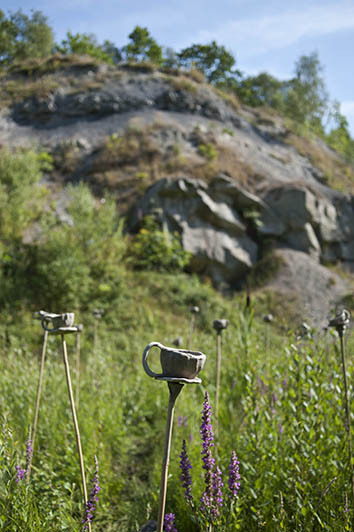 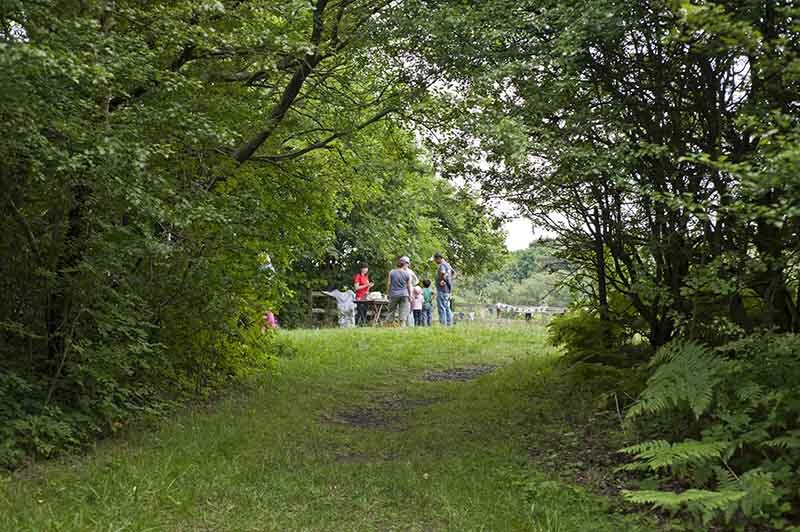 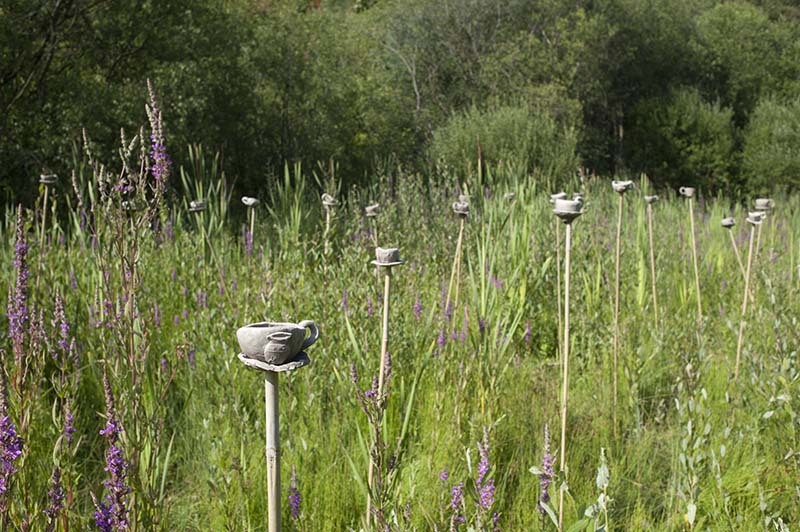 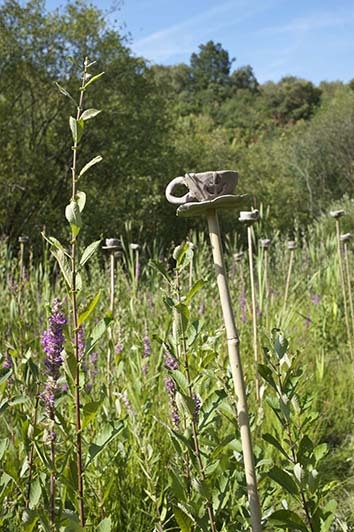 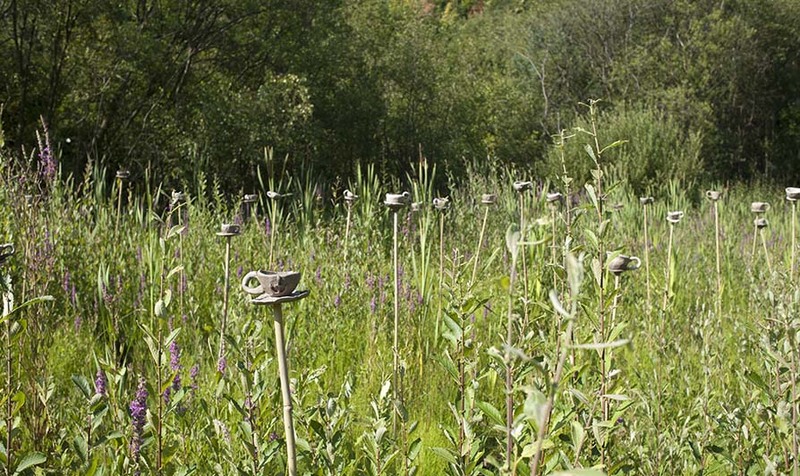 Now a spectacular nature reserve and site of scientific special interest, Clayground commissioned artist specialising in clay, Rob Kesseler, and poet, Elisabeth Charis, to respond to the site. 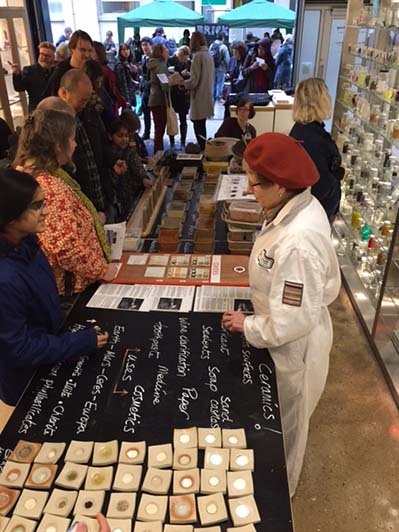 We invited the public to make teacups and saucers in raw clay. 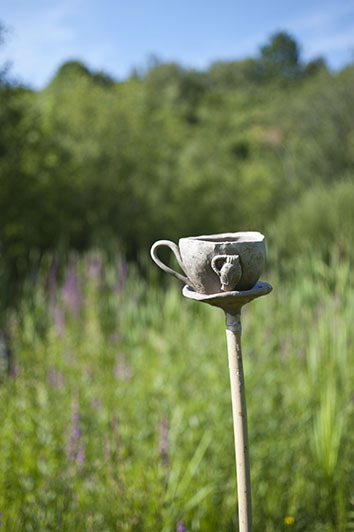 These were balanced on bamboo poles to hover above the bulrushes at the base of the pit.